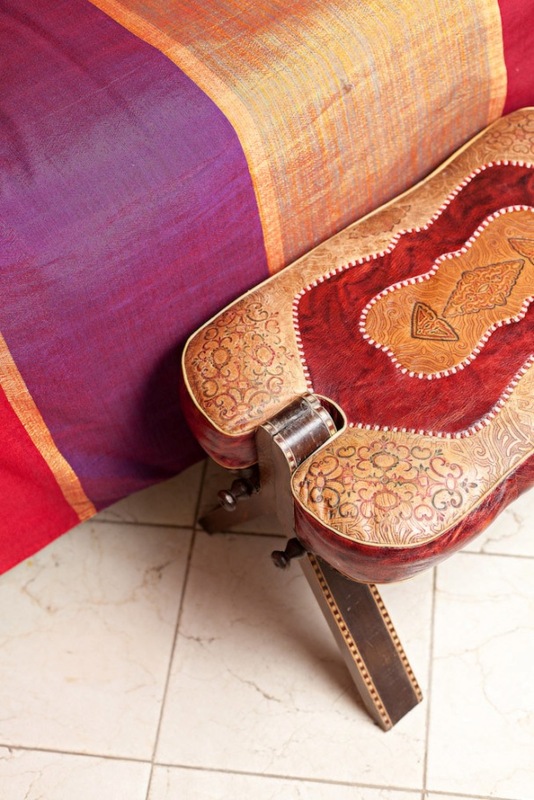 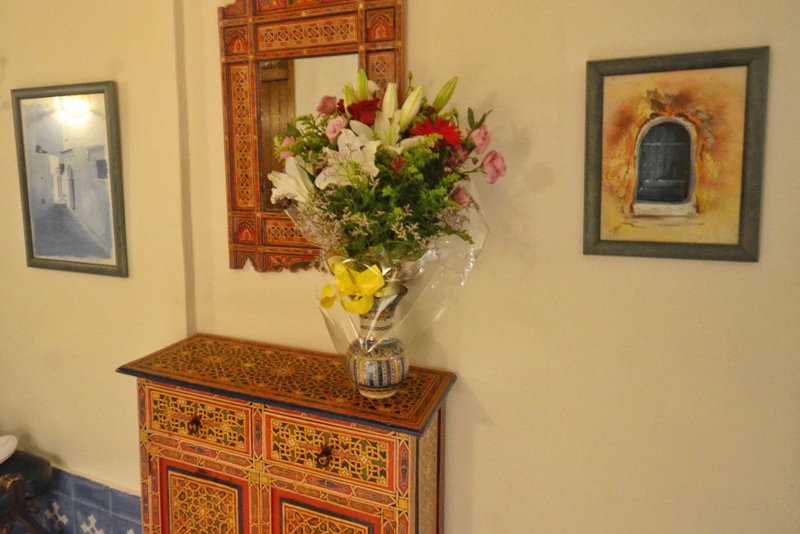 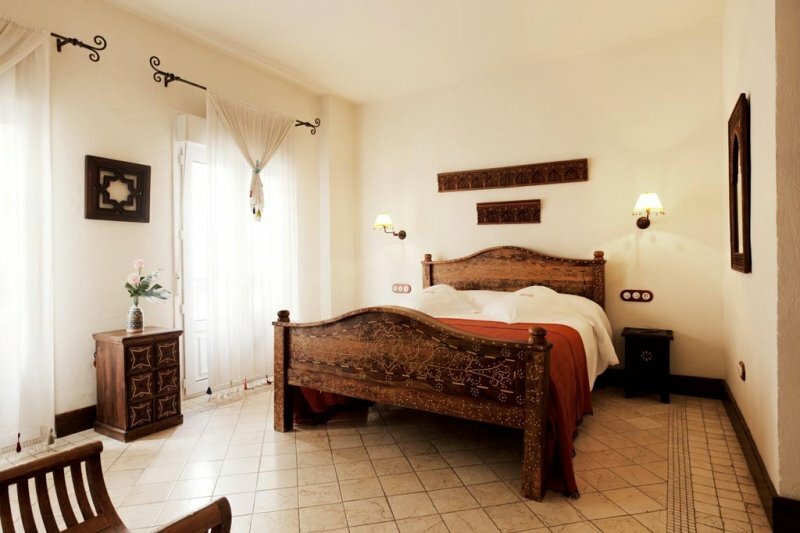 Each of our rooms has its own unique characteristics and decoration that, if you like it, you can purchase, since all of the decoration objects and furniture are for sale. 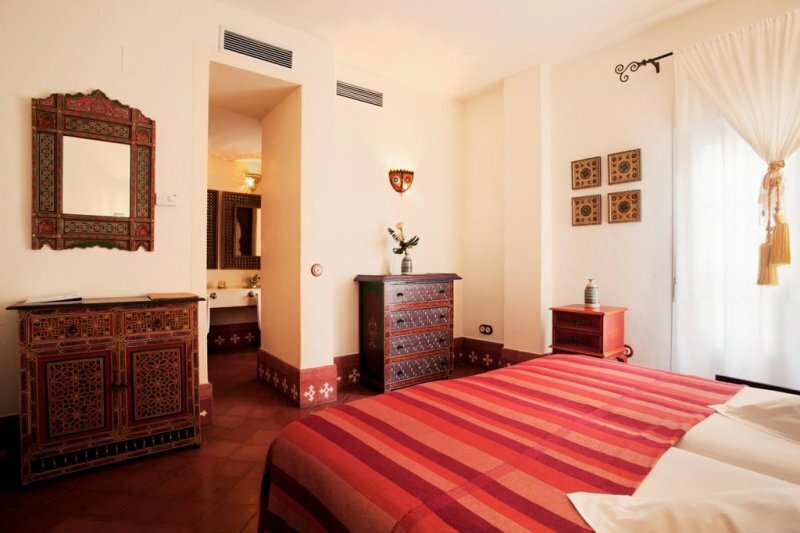 Under the name of the famous Cordoba-born philosopher and poet, this room is decorated with antique furniture, cedar wood headboard and mirrors, aged-marble floors and polychrome ceilings with wooden beams. 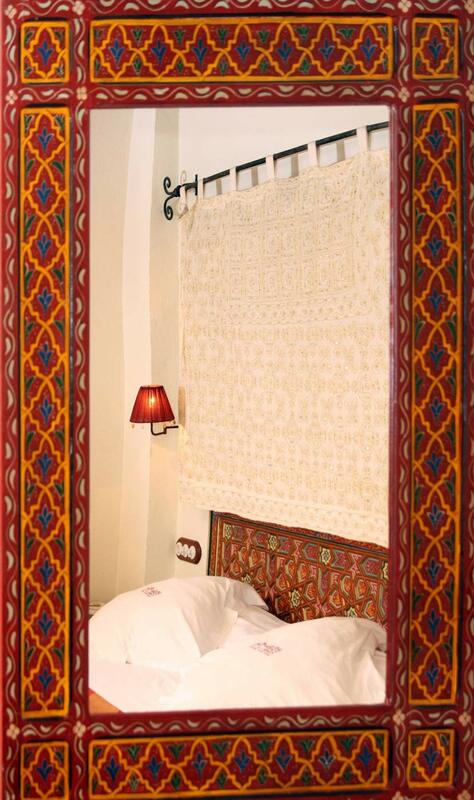 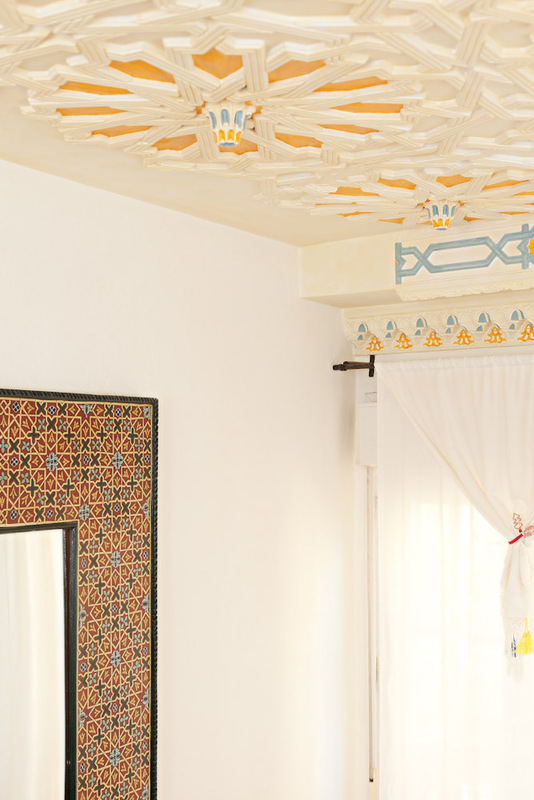 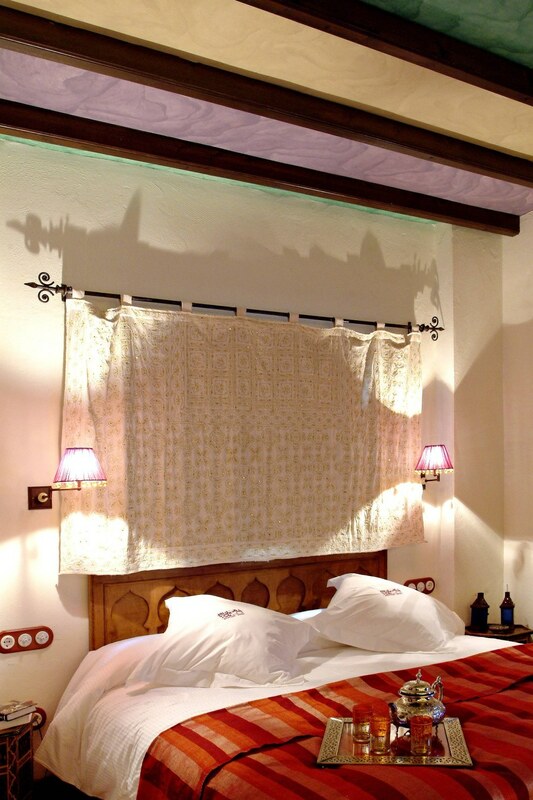 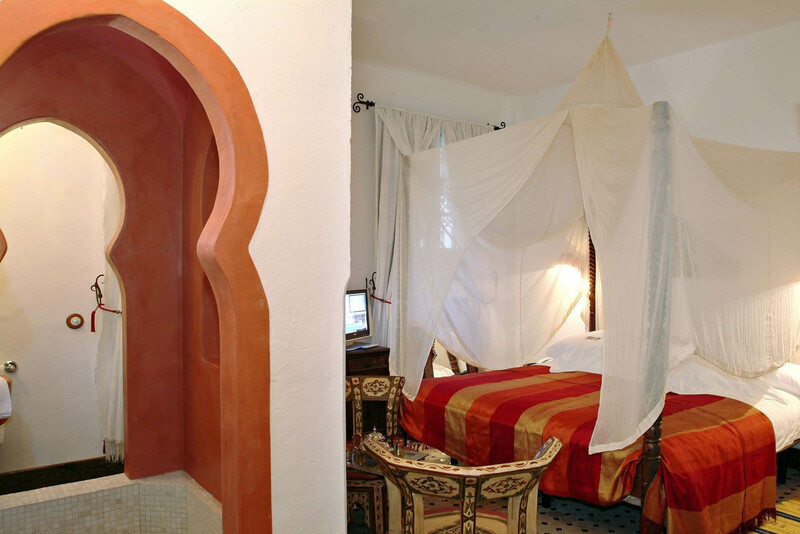 This Arabic writer, lover of Princess Wallada, gives his name to a beautiful room with a balcony, a highlight of which is its traditional hydraulic flooring, its polychrome Mudejar ceiling and the beautiful Andalusi-style headboard and matching large mirror. 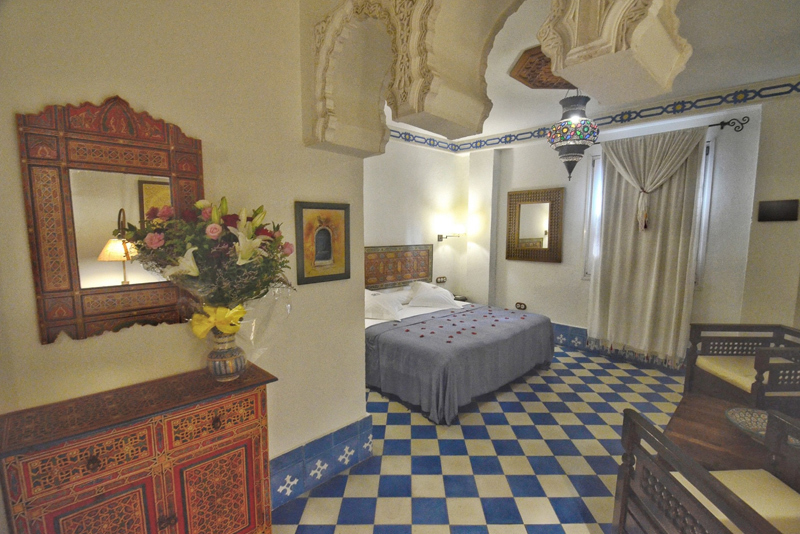 This room with traditional furniture is named after the last Muslim governor of Seville. 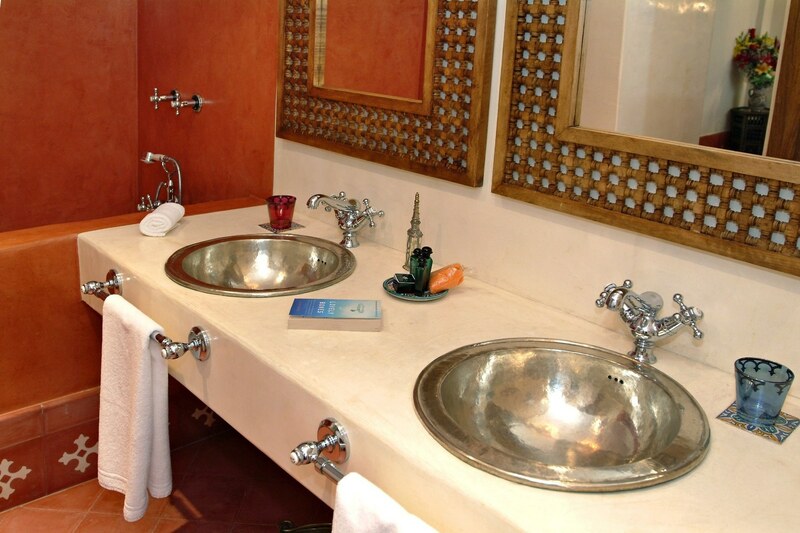 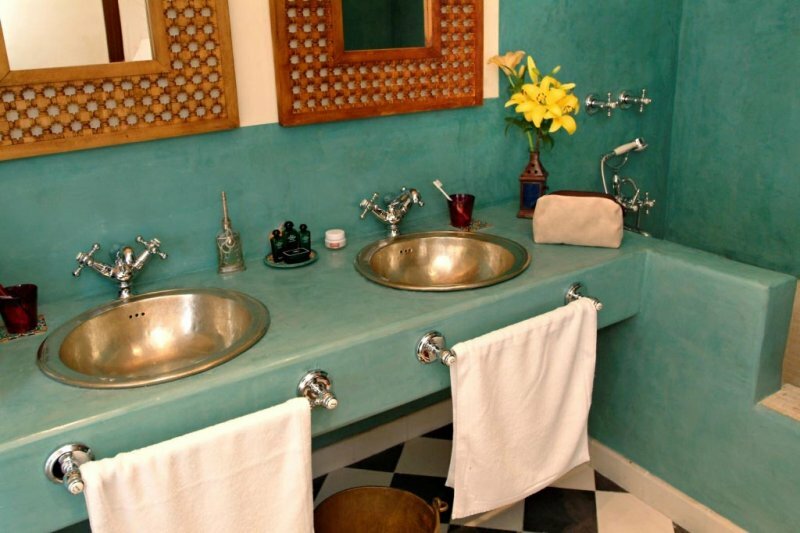 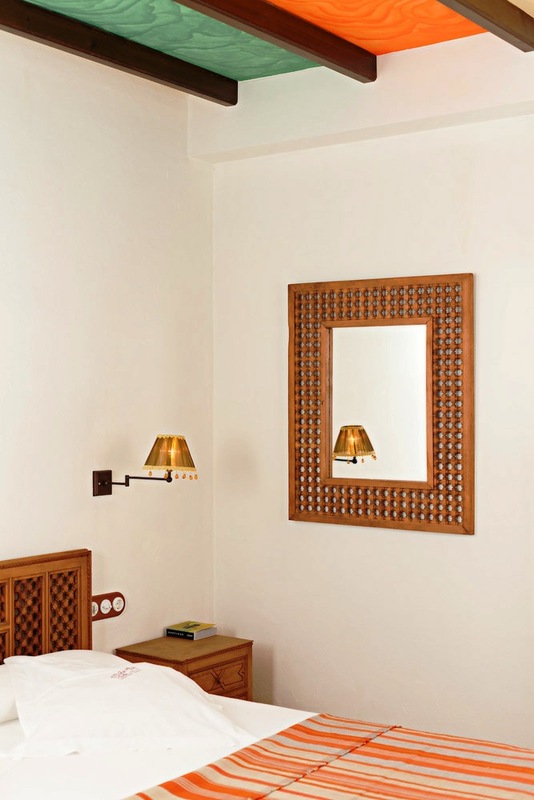 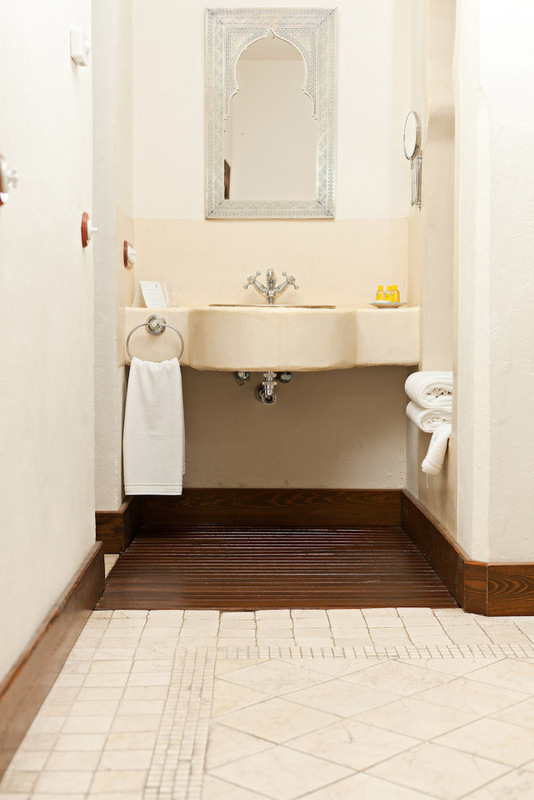 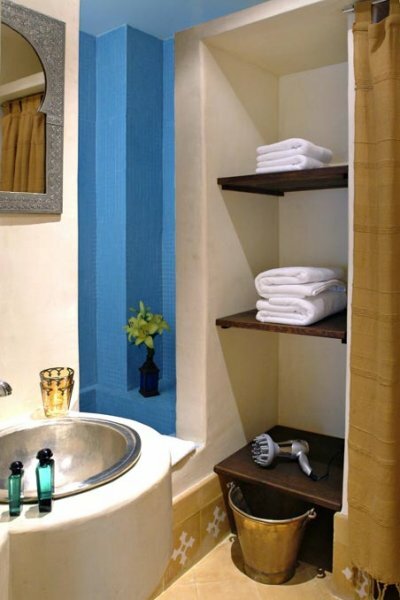 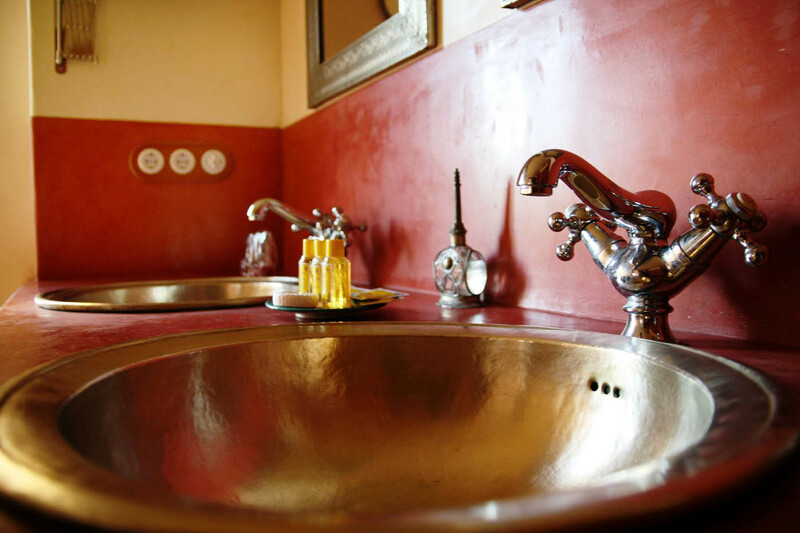 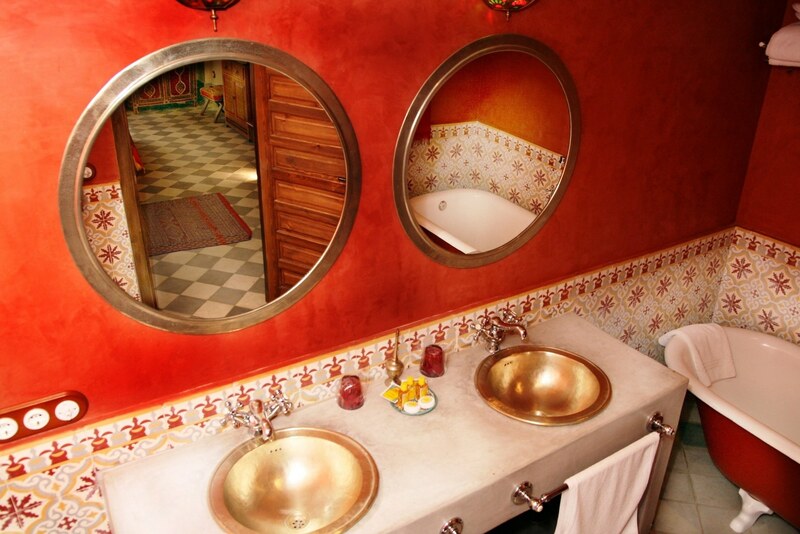 It has polychrome ceilings and aged-marble floorings with beautiful old brass mirrors in the bathrooms. 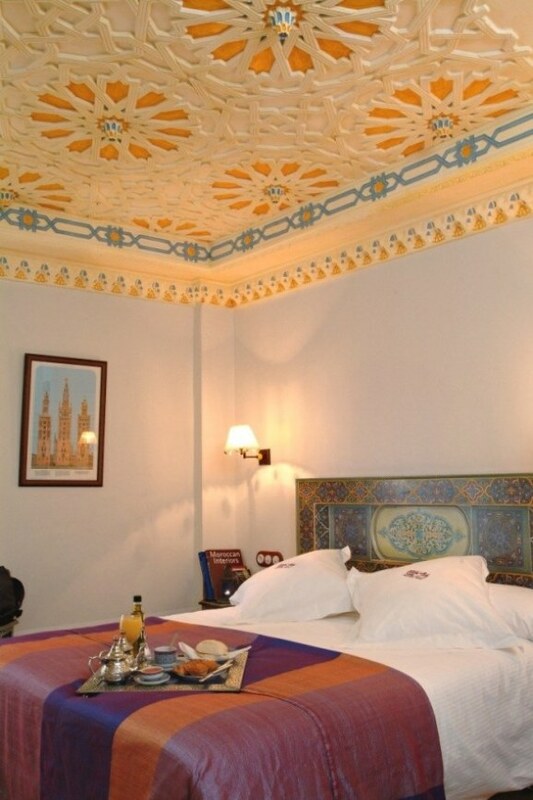 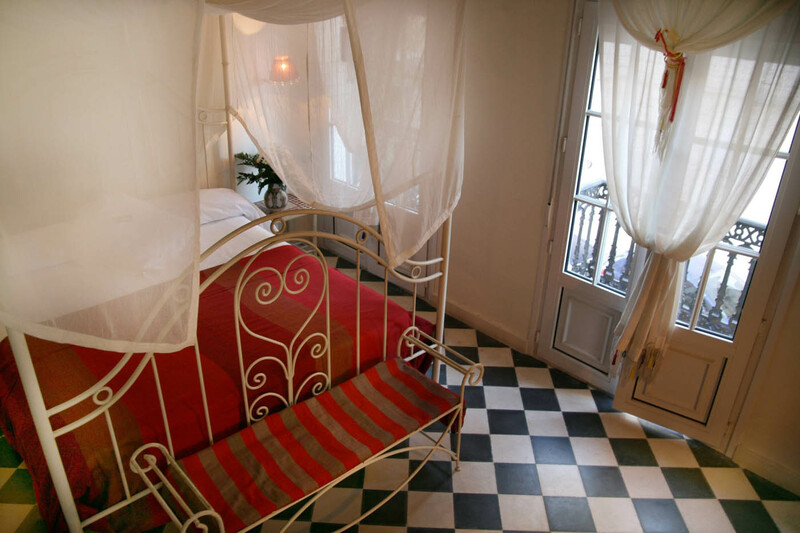 The architect of La Giralda gives his name to this beautiful room with a balcony. 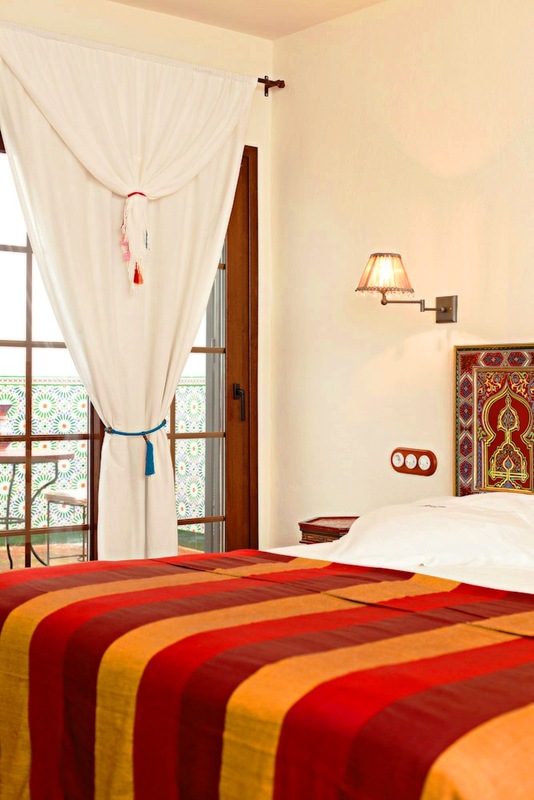 Its best features are its polychrome ceilings and traditional floorings, as well as its stucco bathrooms with four mirrors and the ornamented polychrome cedar wood headboard. 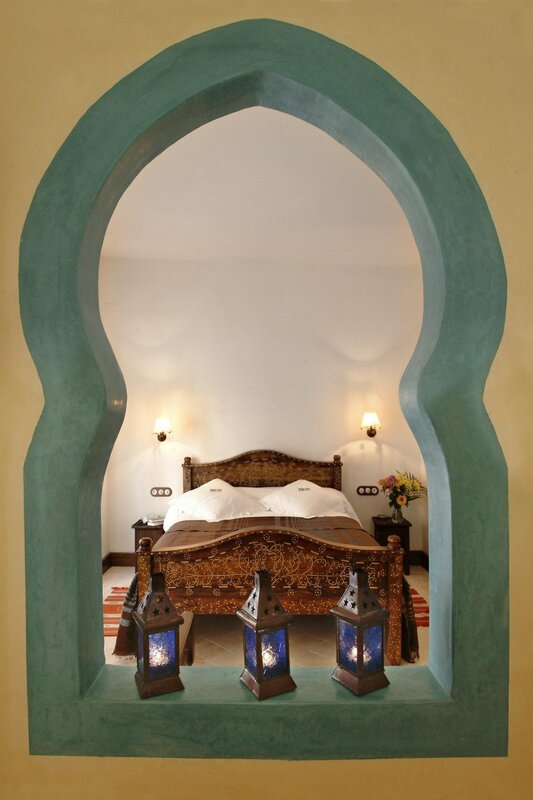 The daughter of King Al-Mutamid offers her name to this gorgeous room with artisanal ceramic floorings from Fez, four-poster bed, cedar wood lattice room divider and an aged cream-coloured stoneware bath with horseshoe arches. 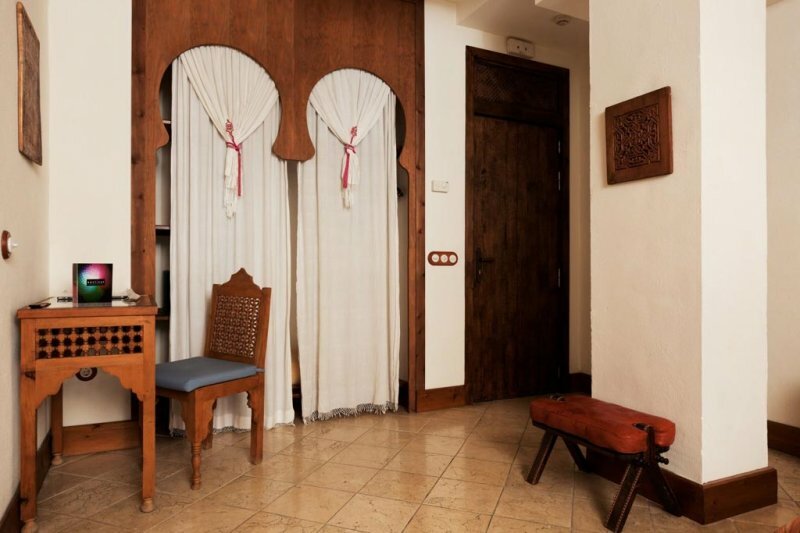 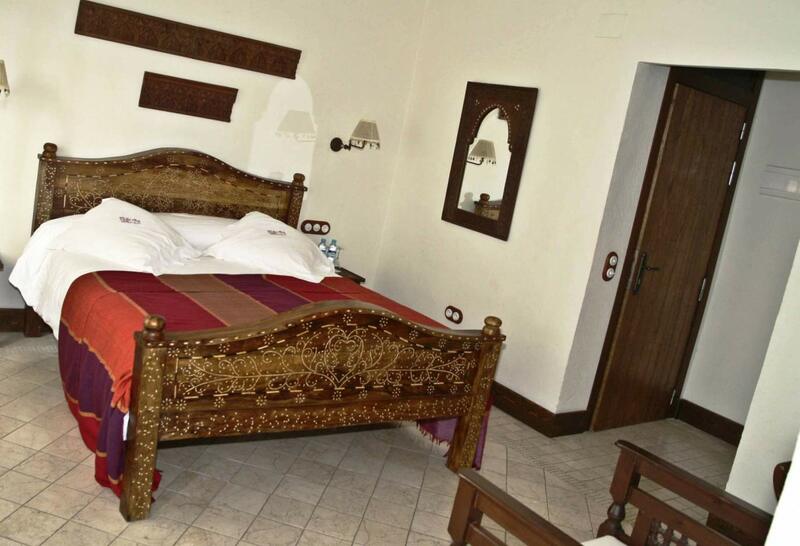 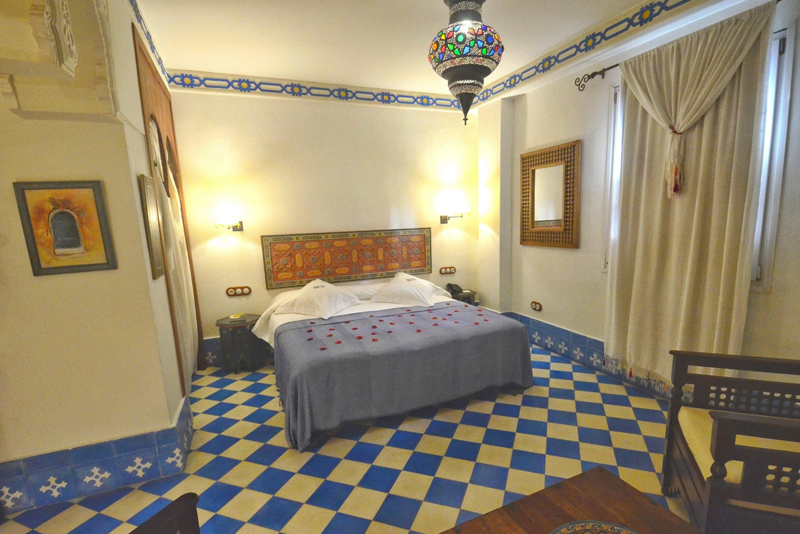 This room with balcony is named after the muse of King Al-Mutamid and it stands out for its polychromed Andalusi furniture, the traditional hydraulic flooring and its beautiful bathroom with large baths. 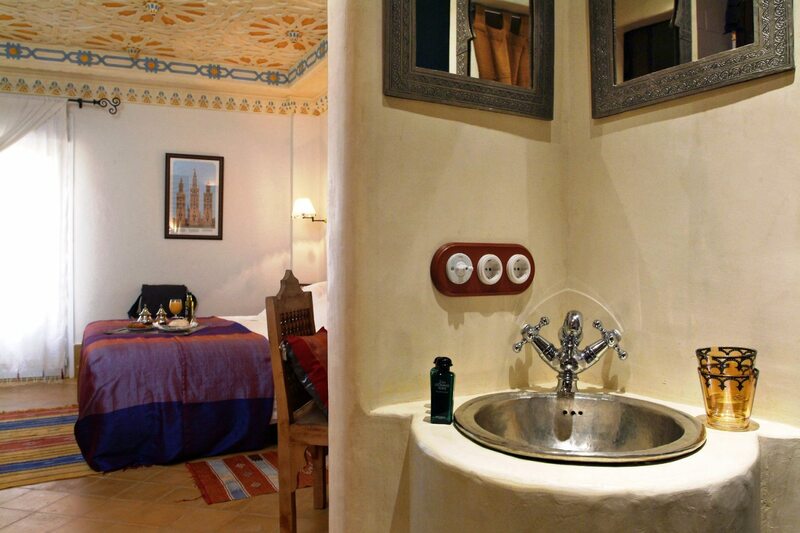 This spectacular room is aptly named after the great and feared Arabic soldier. 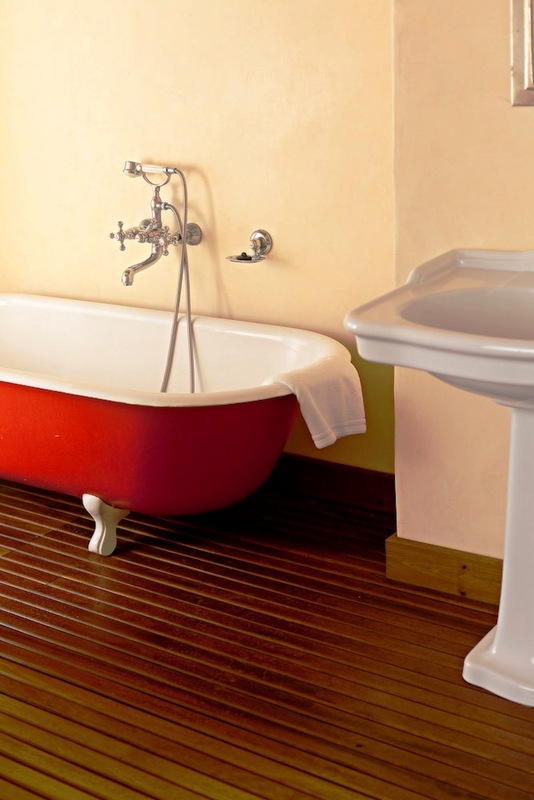 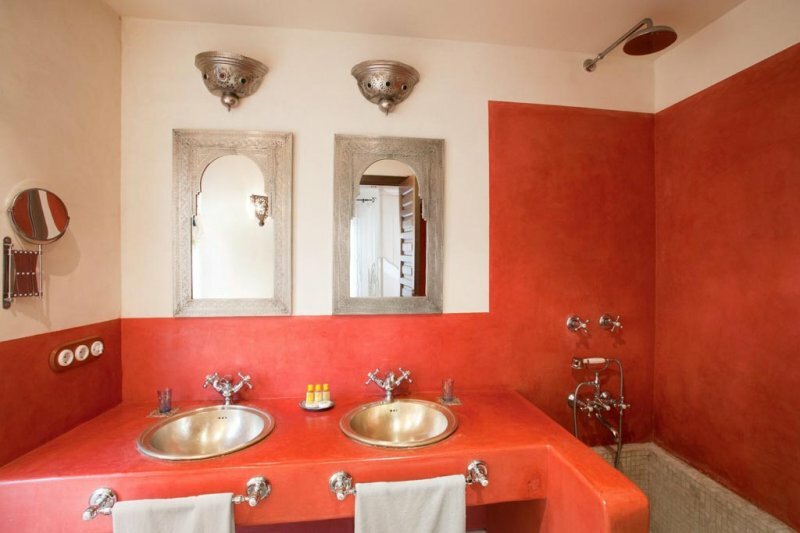 It includes red traditional hydraulic floorings as a tribute to the warrior and bedside tables and a large bath made of aged marble. 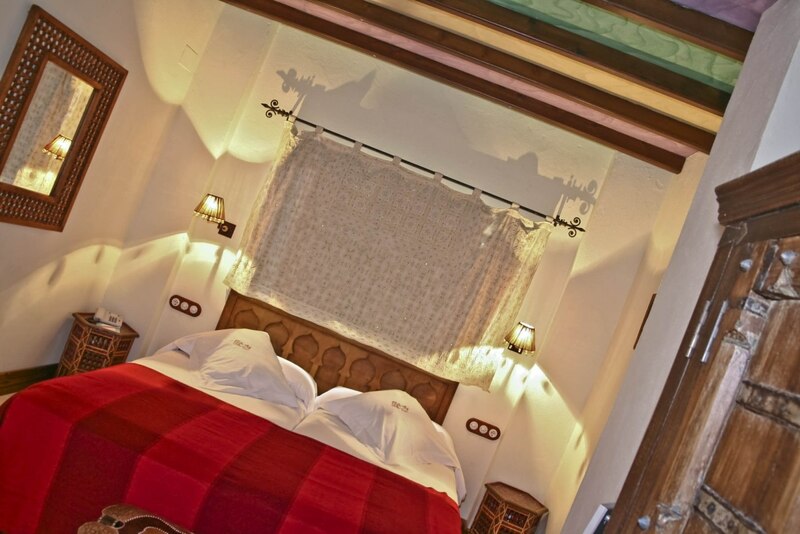 The Queen of Castile and mother of King Alfonso X the Wise has her own room with two balconies, four-poster bed with ancient design, aged marble floorings, polychrome glass and brass lamps, and an aged stoneware bath with horseshoe-arched windows. 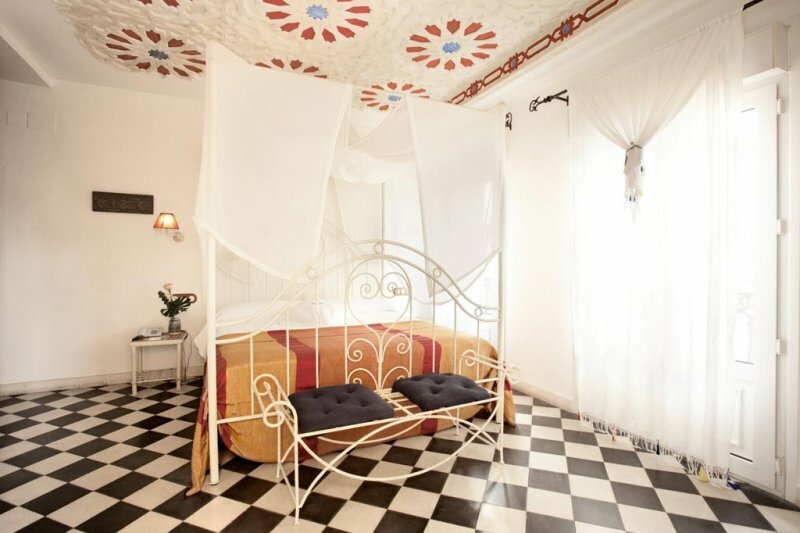 The room named as a tribute to this famous poetess is characterised for its four balconies, its four-poster bed of ancient design, its polychrome ceilings, traditional hydraulic floorings and a large bath made of aged marble. 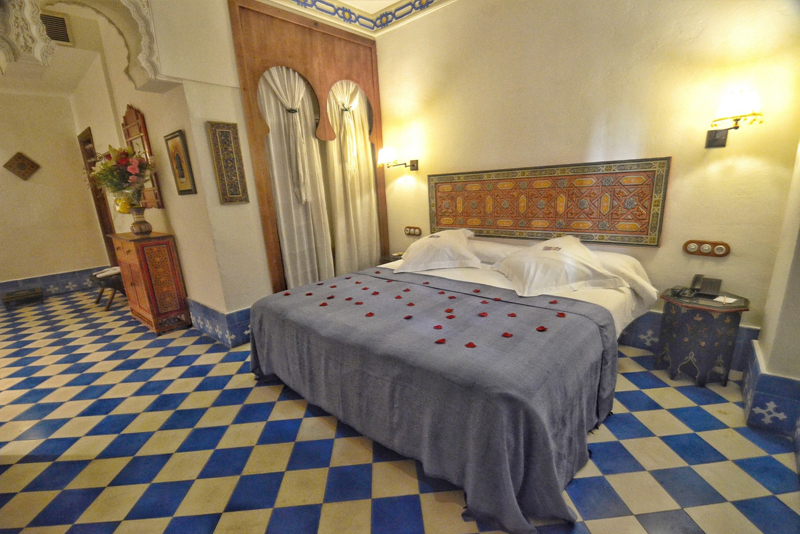 Fernando III the Saint, conqueror of Seville, gives his name to this beautiful room with four balconies, hydraulic flooring, four-poster bed with ancient design, Mudejar-style polychrome ceiling and a large aged cream-coloured stoneware bath. 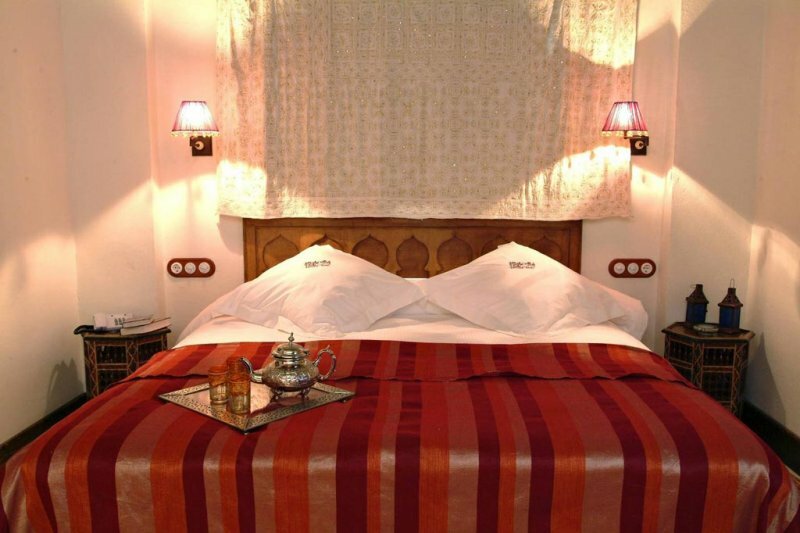 Our hotel is named after this King Poet and we dedicate a spectacular room to him which includes two balconies, teak wood bed with ivory inlays, aged marble floorings and a bath with stucco windows in the shape of a horseshoe arch. 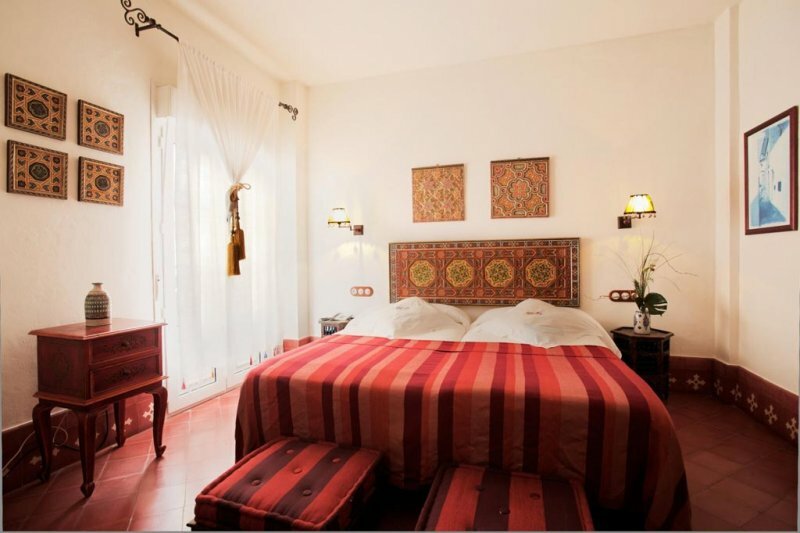 This room of 30 m2 in size with a private patio is named after this scientist, astronomer and humanist. 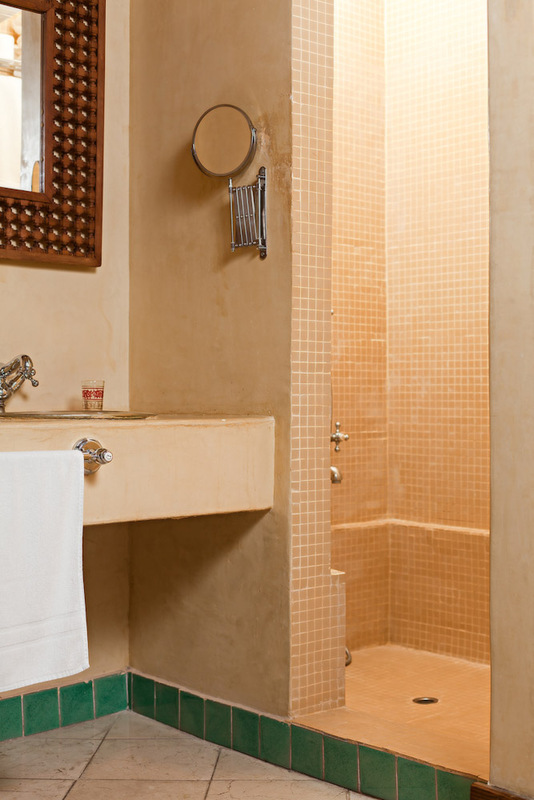 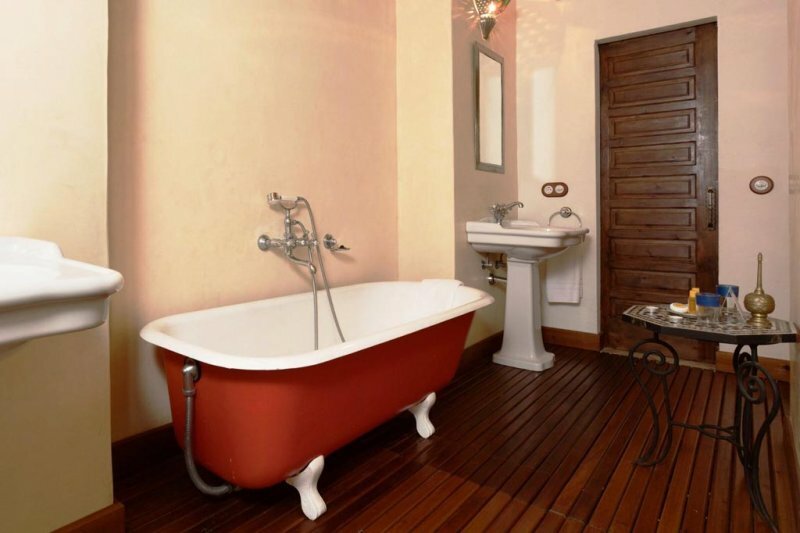 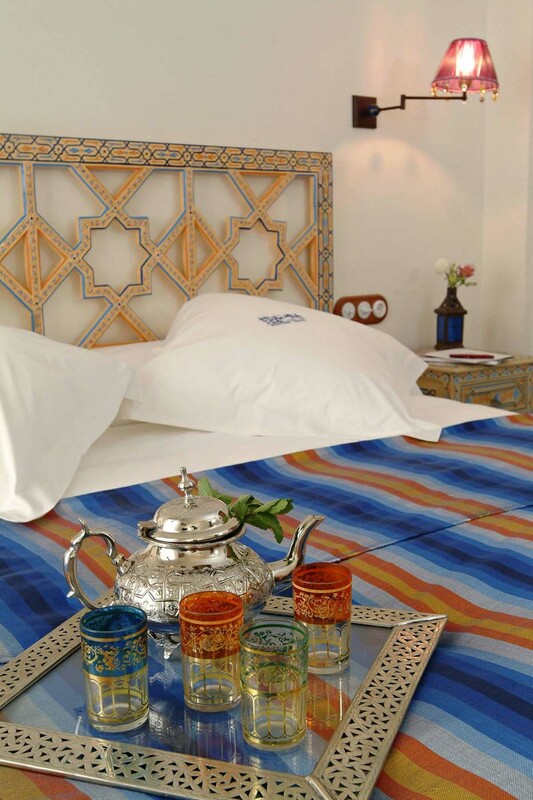 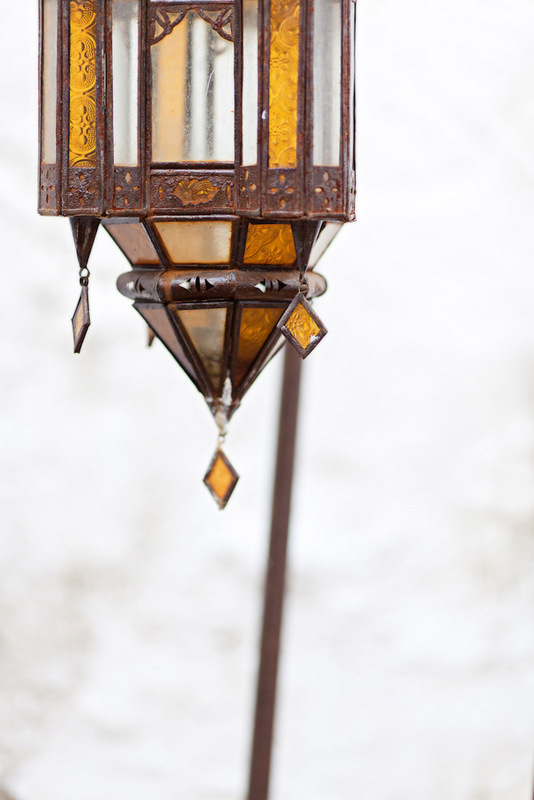 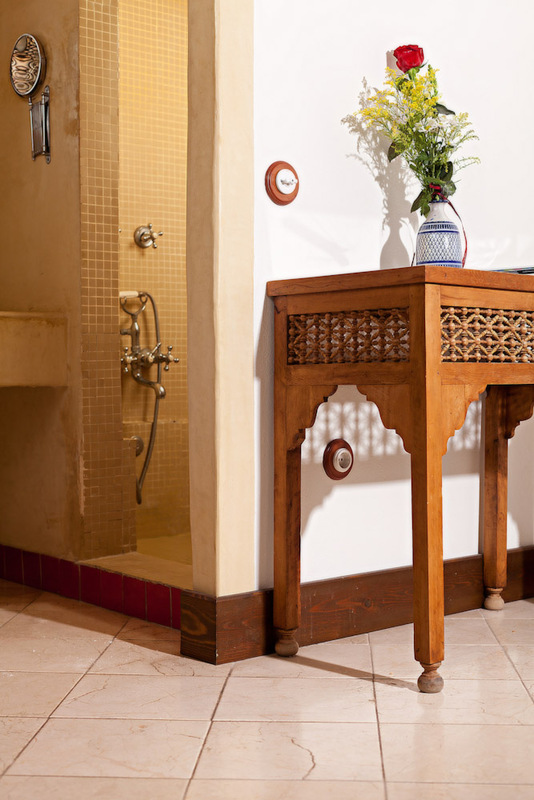 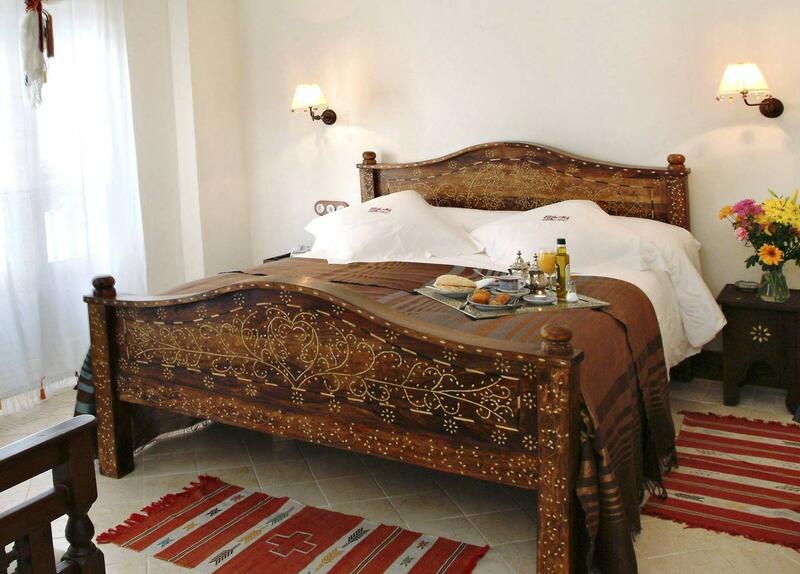 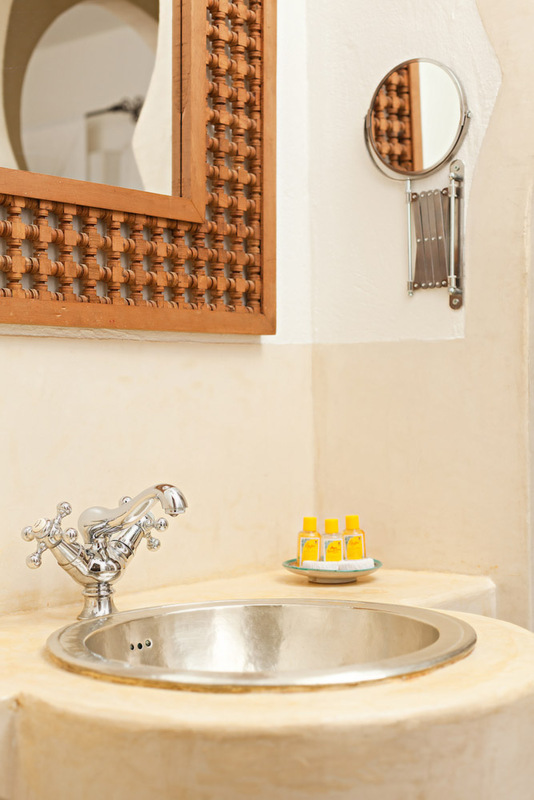 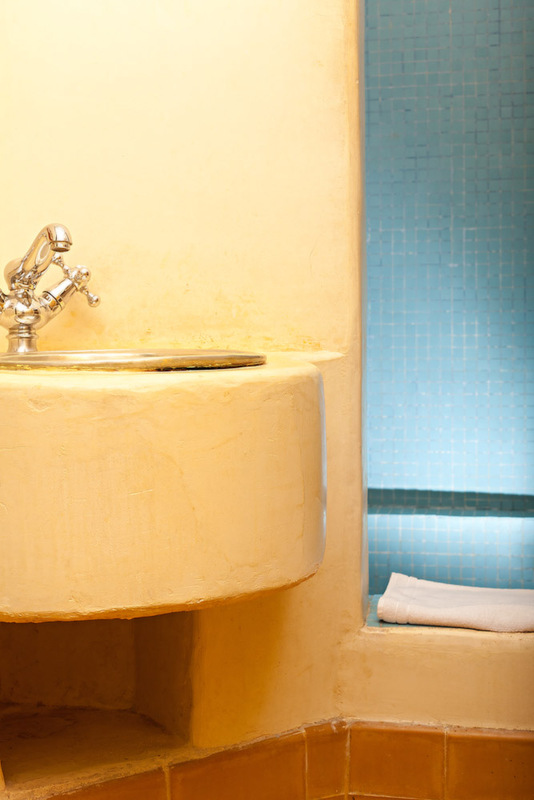 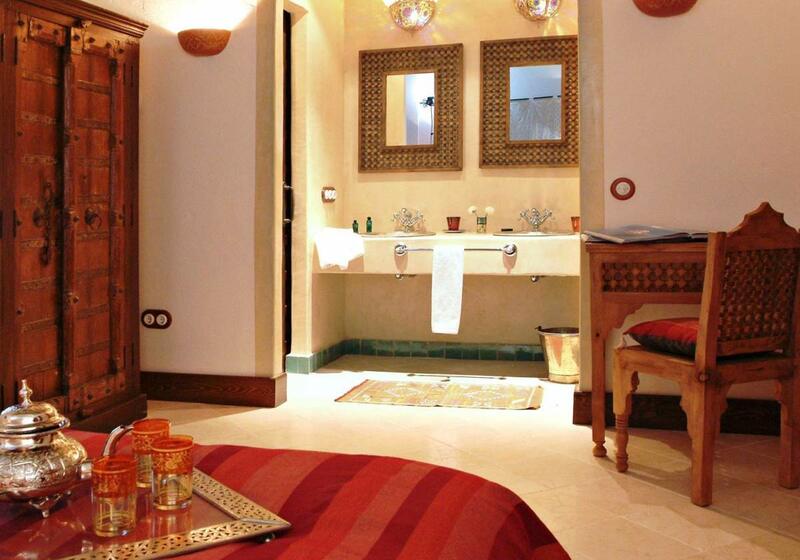 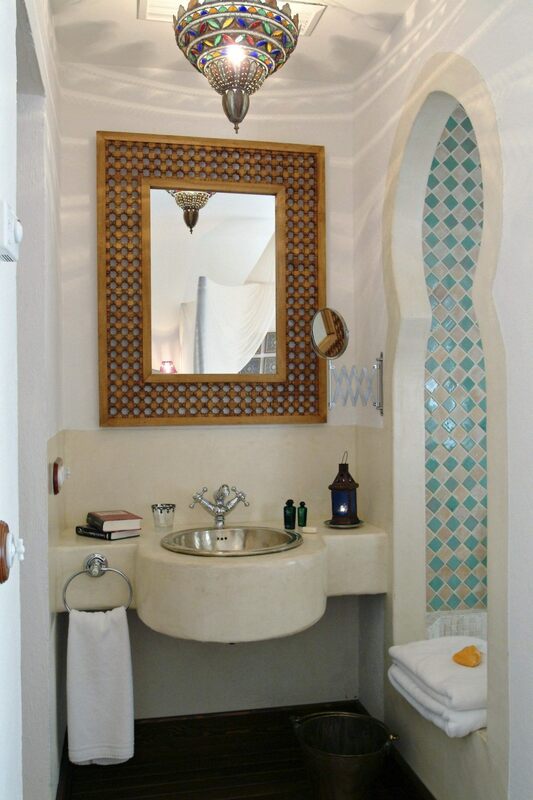 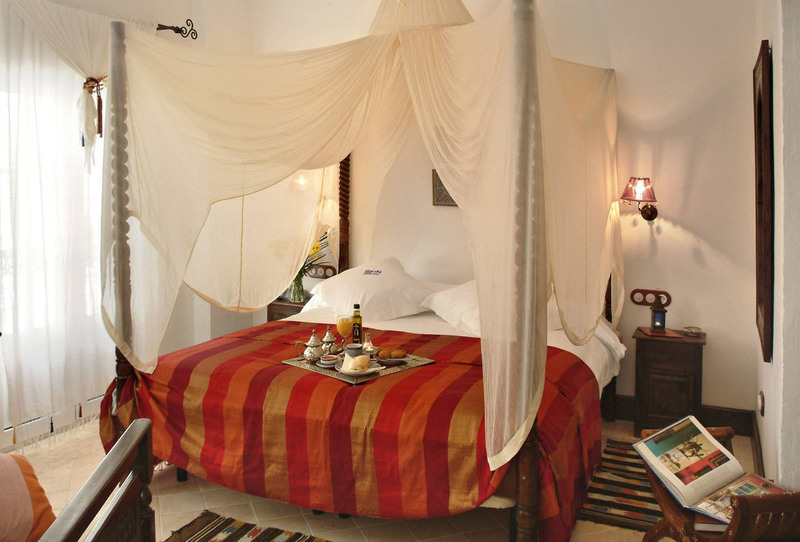 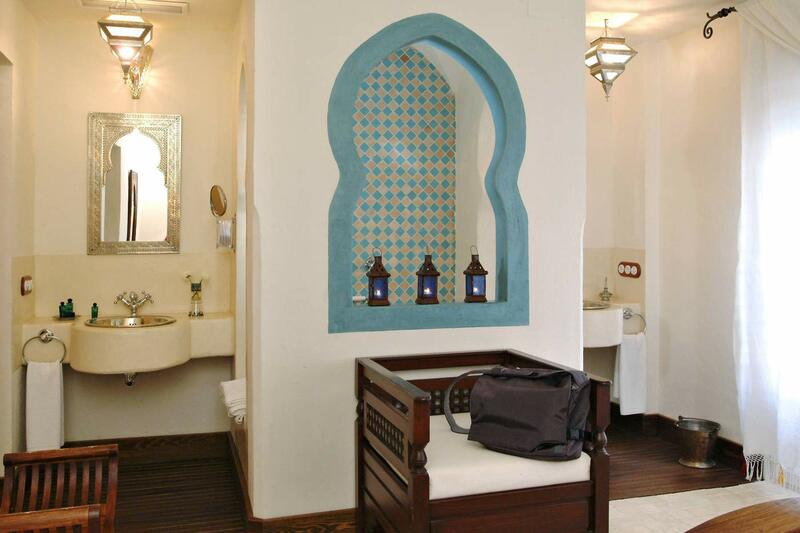 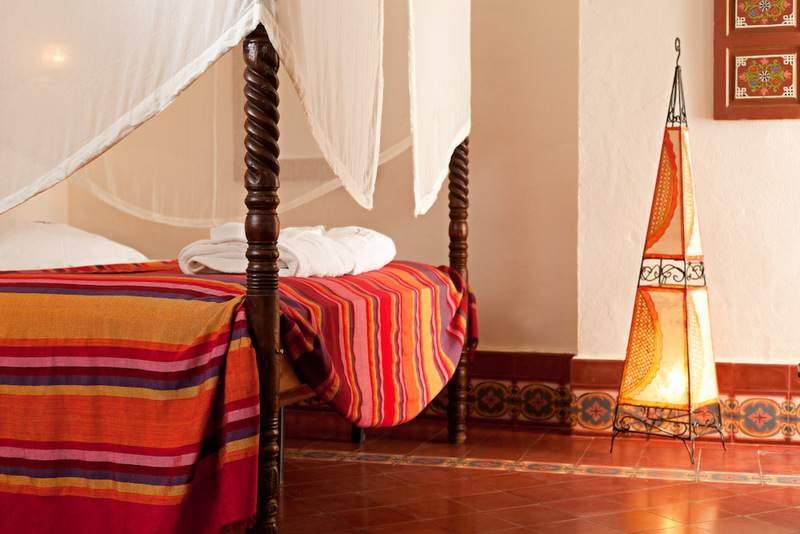 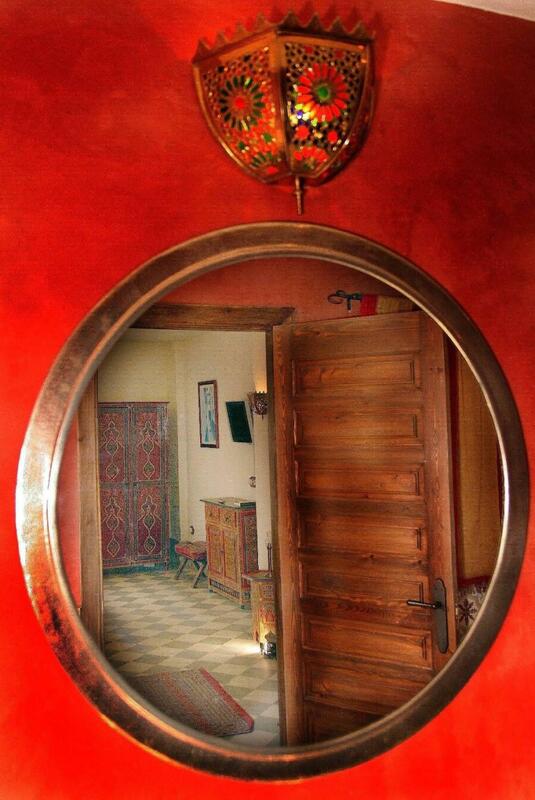 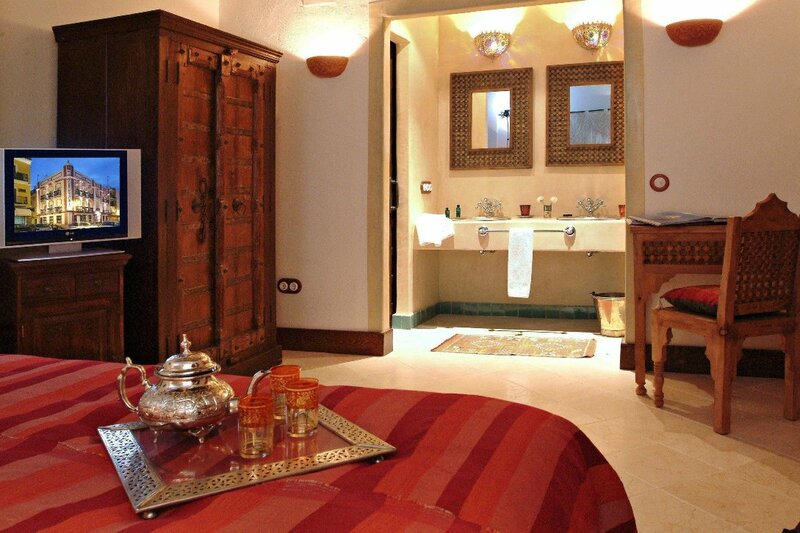 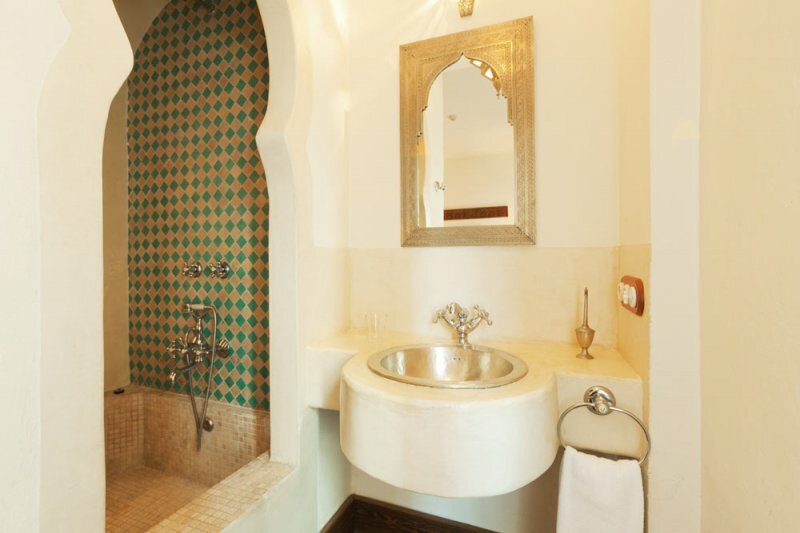 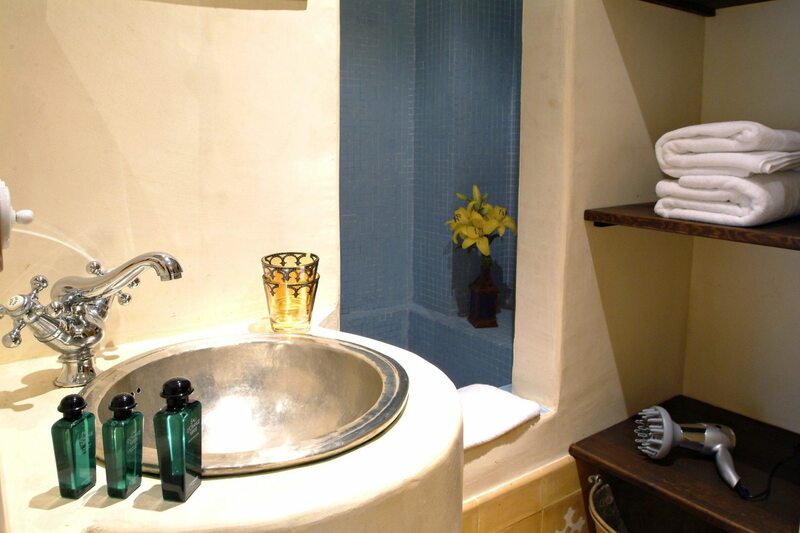 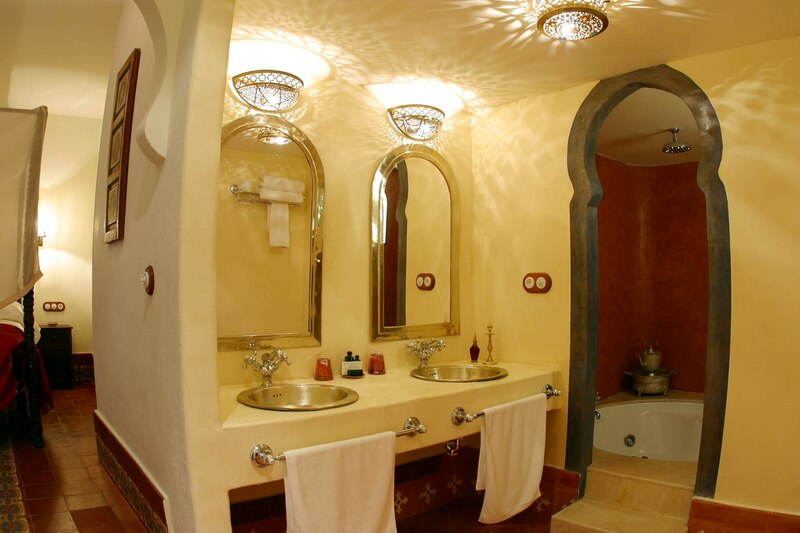 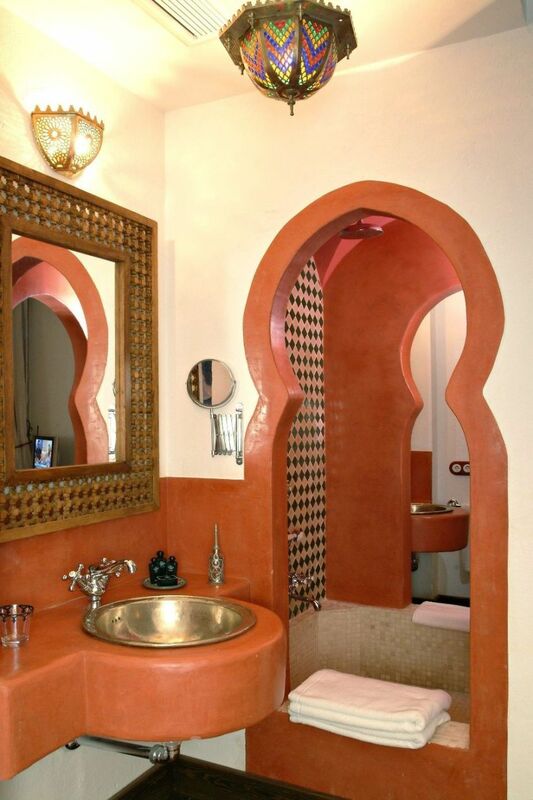 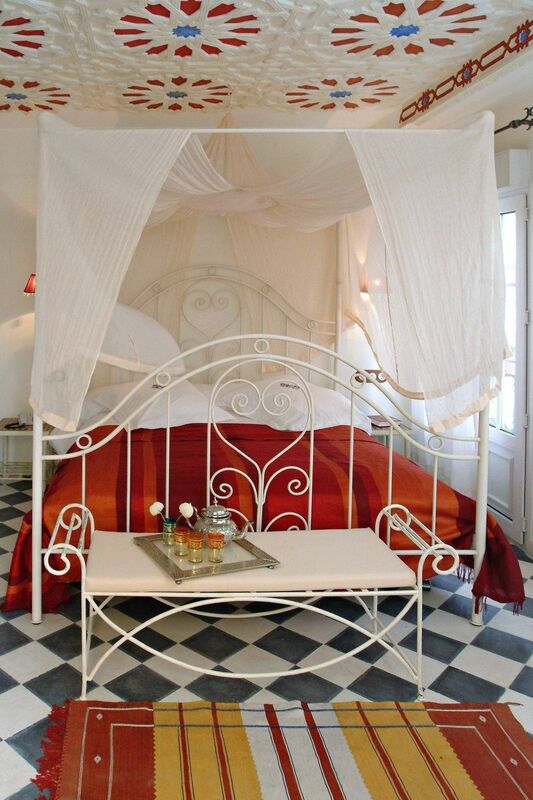 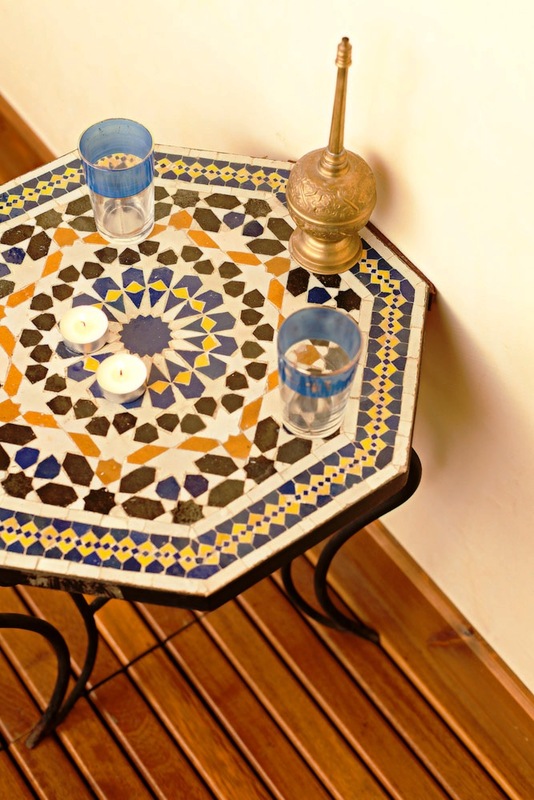 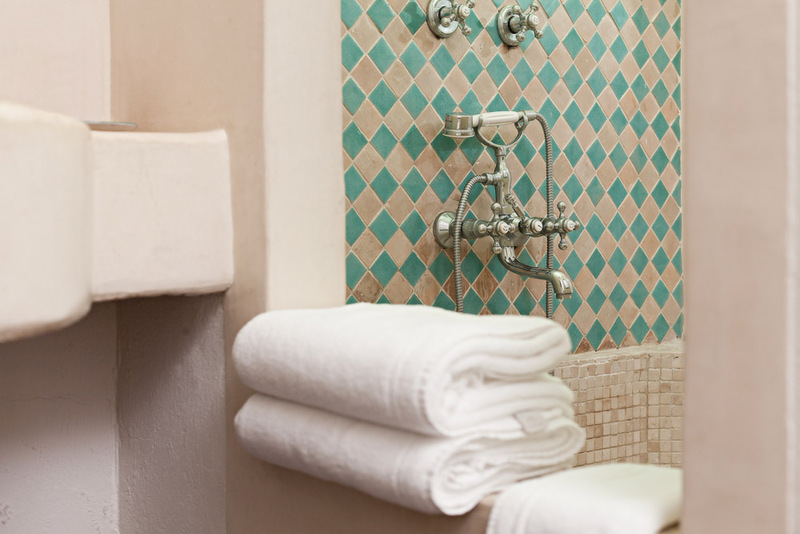 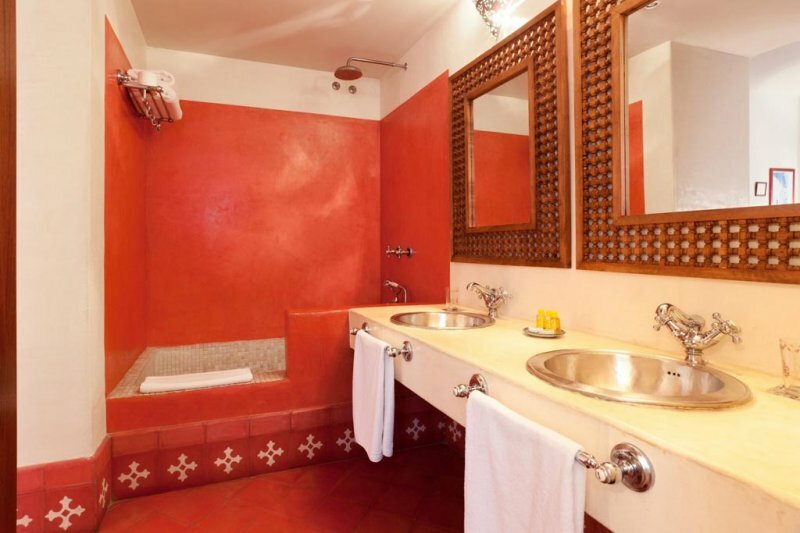 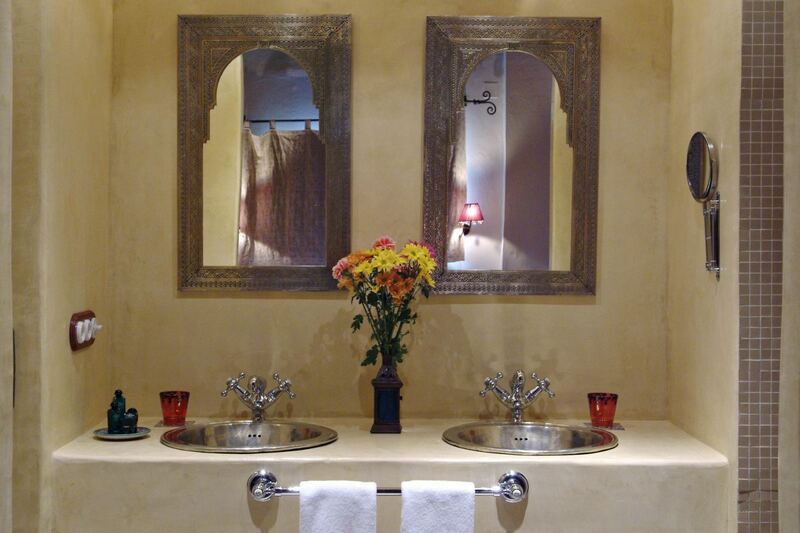 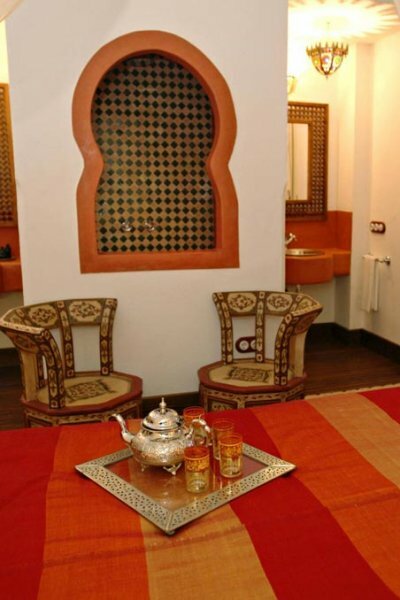 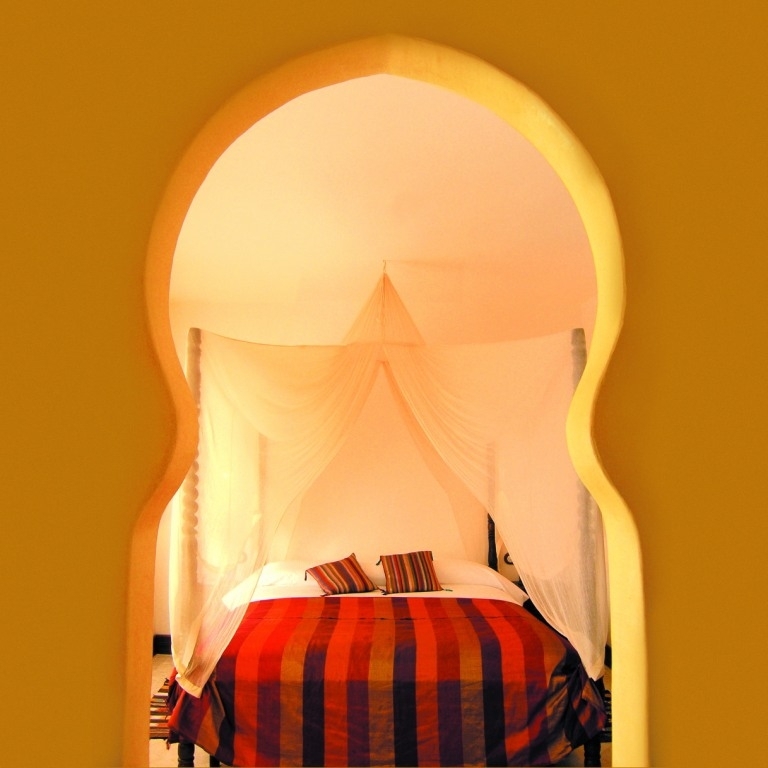 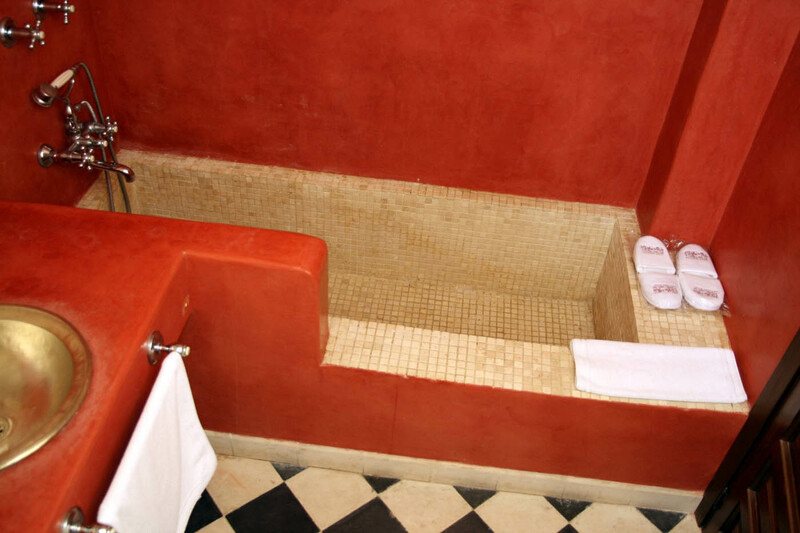 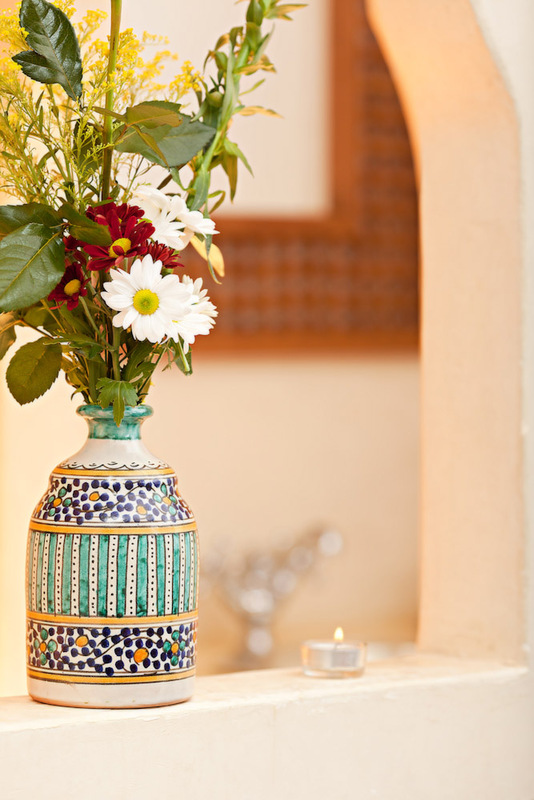 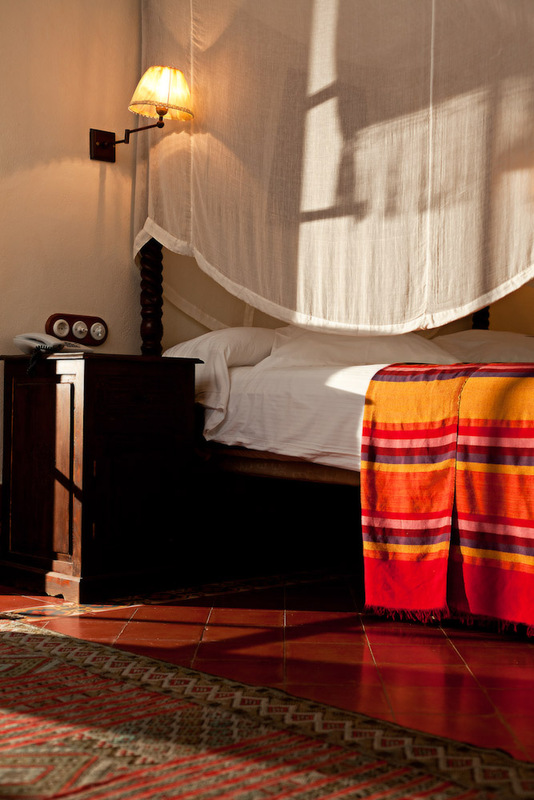 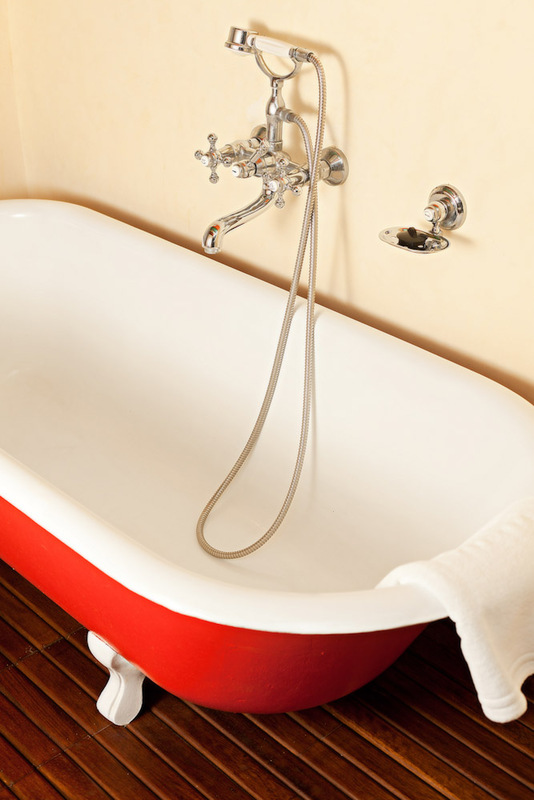 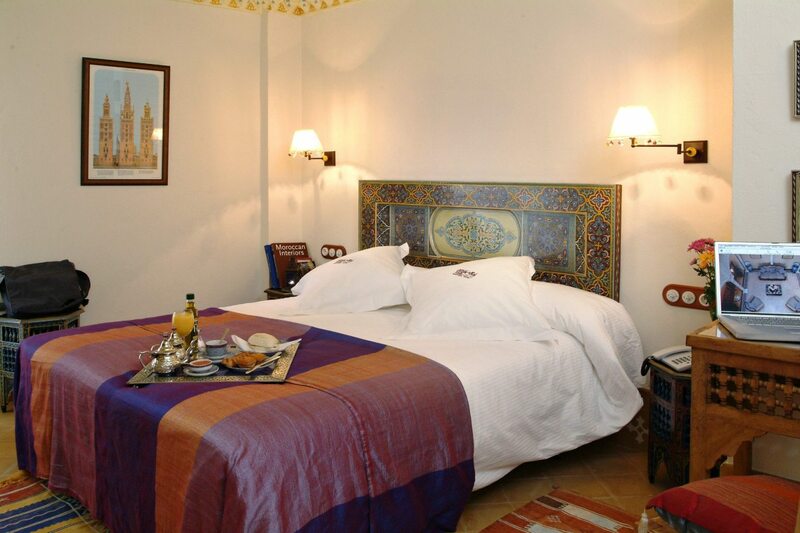 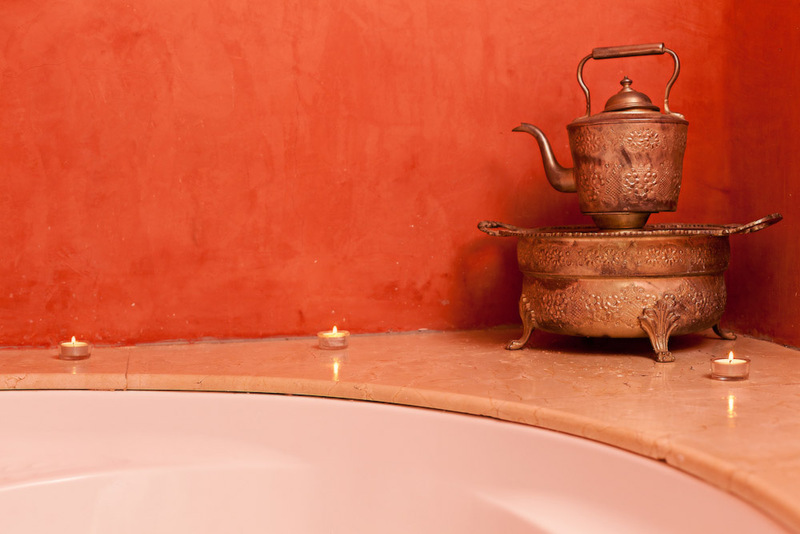 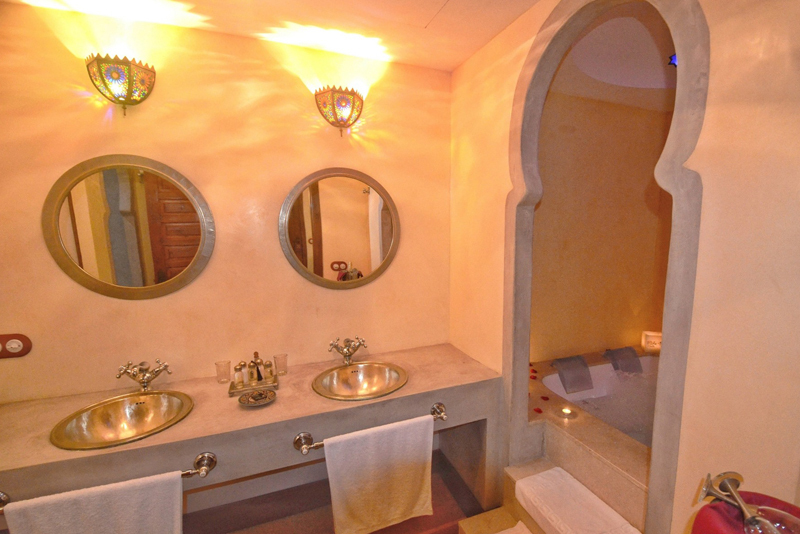 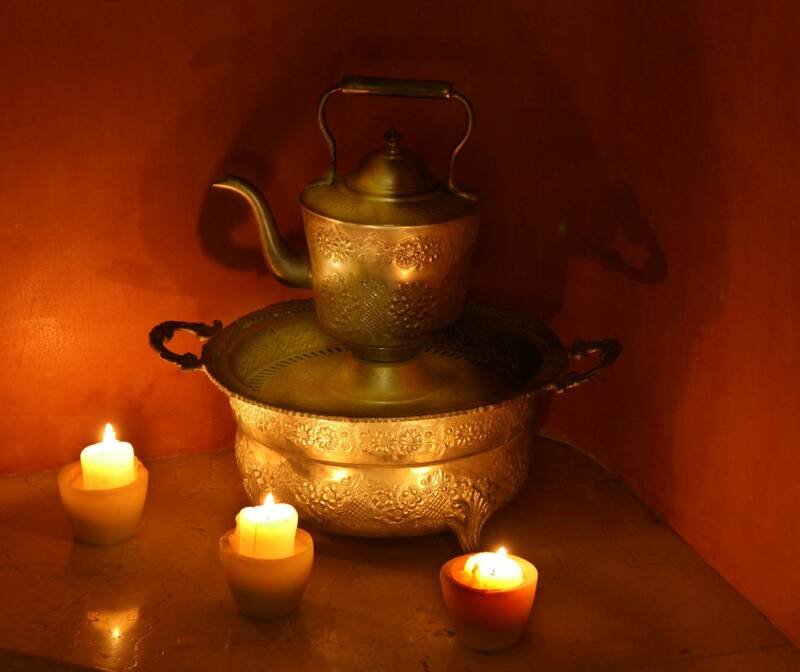 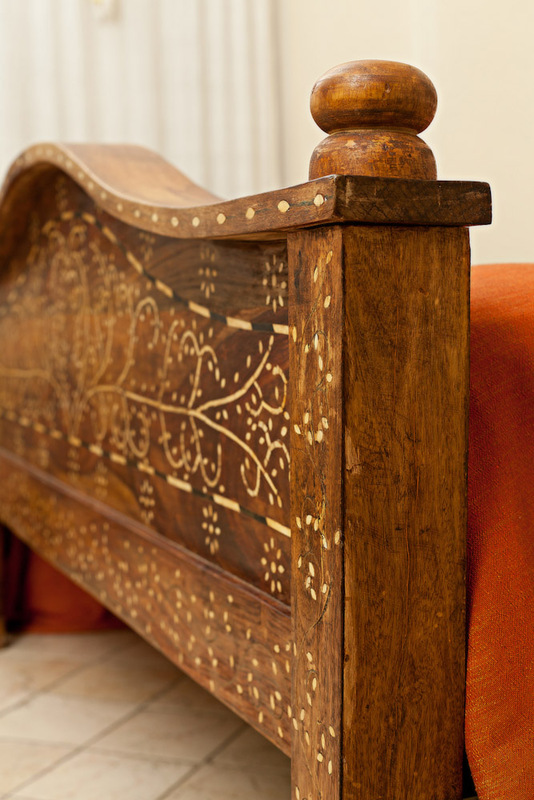 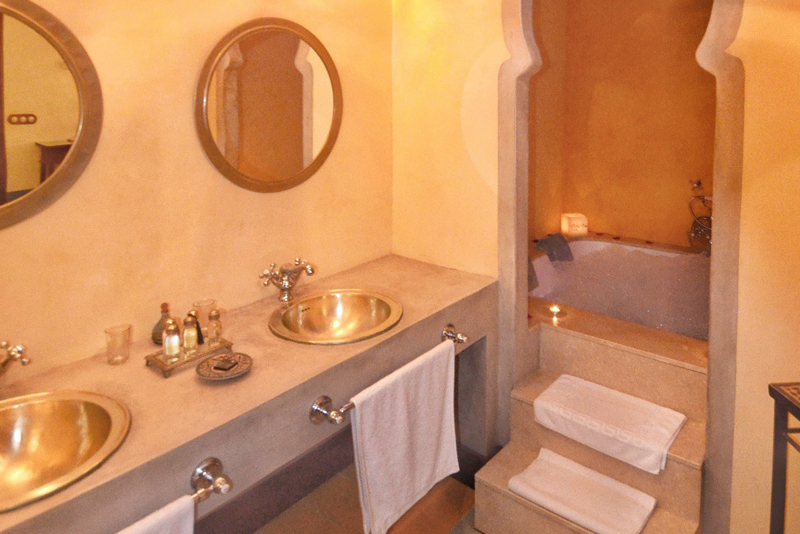 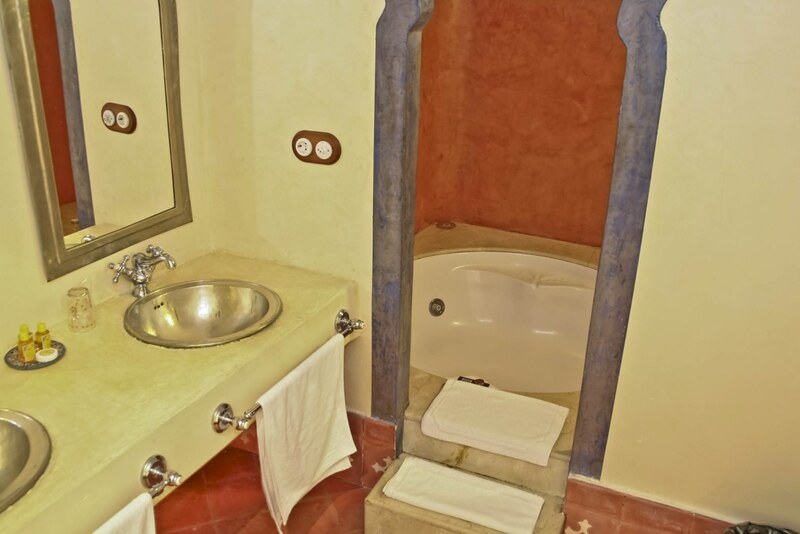 Also, it has beautiful Andalusi-style polychrome furniture, an ancient-style cast iron bath and stucco bathroom. 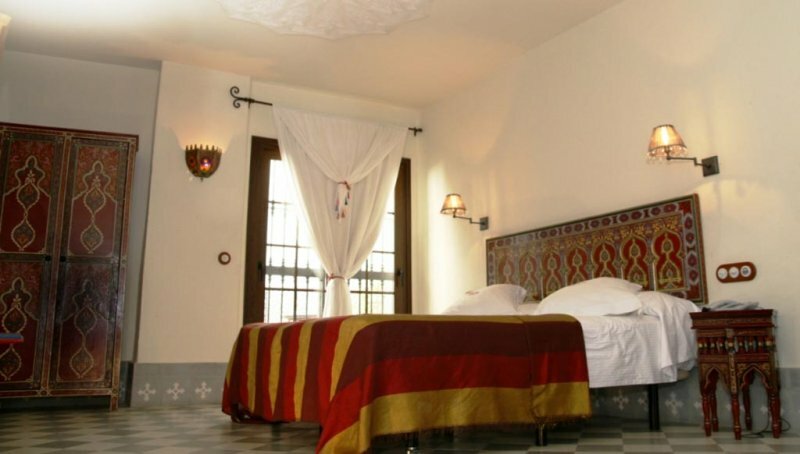 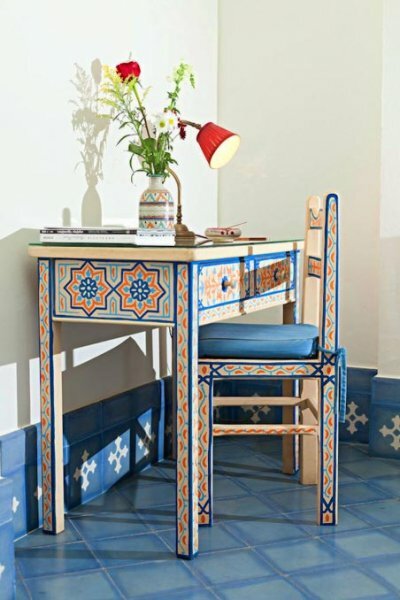 The Cordoba-born poet and theologian gives his name to a room with a special scent, since all the furniture is made of cedar wood lattice, equipped also with stucco bathrooms, an ancient-style cast iron bath, polychrome ceilings and aged marble floorings. 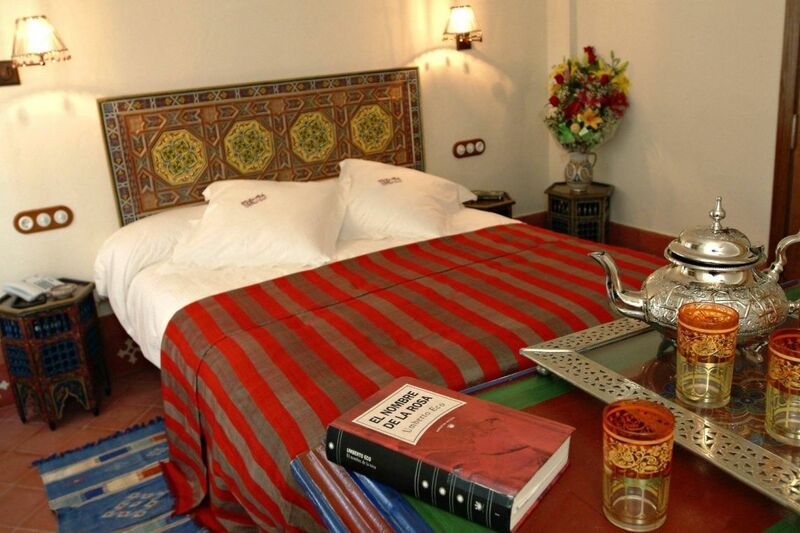 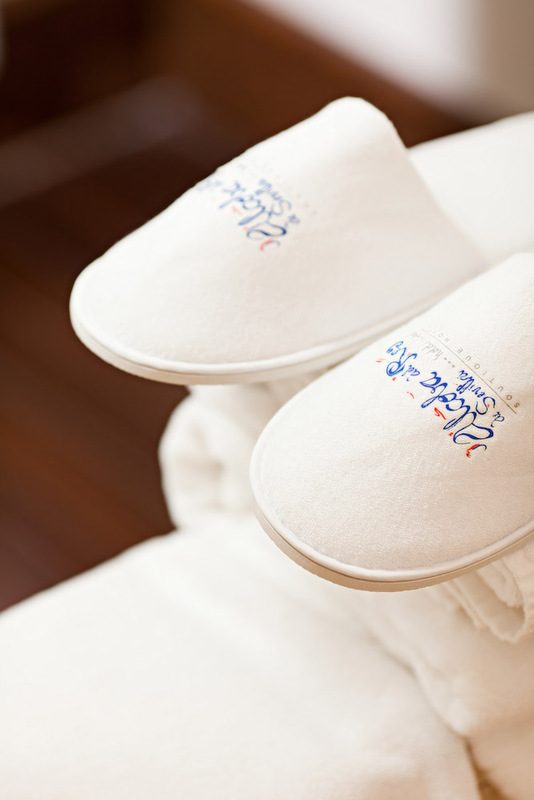 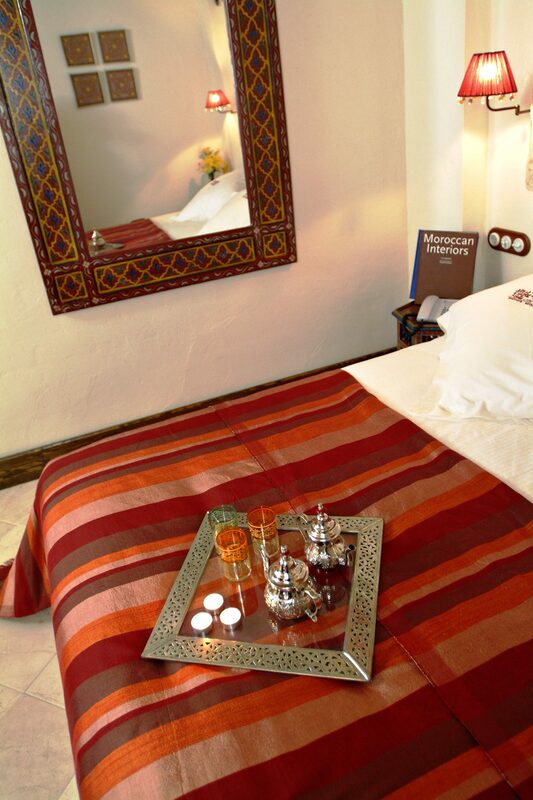 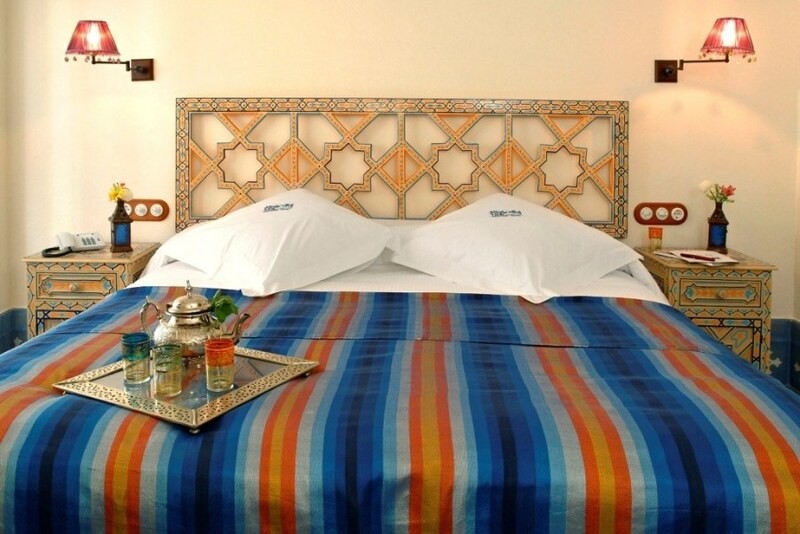 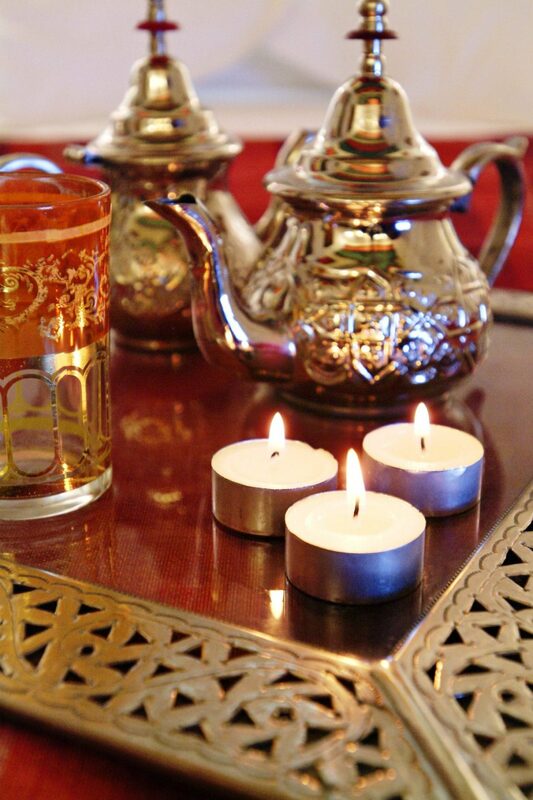 One of our hotel’s most spectacular rooms is named after this poet and politician, tutor of Al-Mutamid. 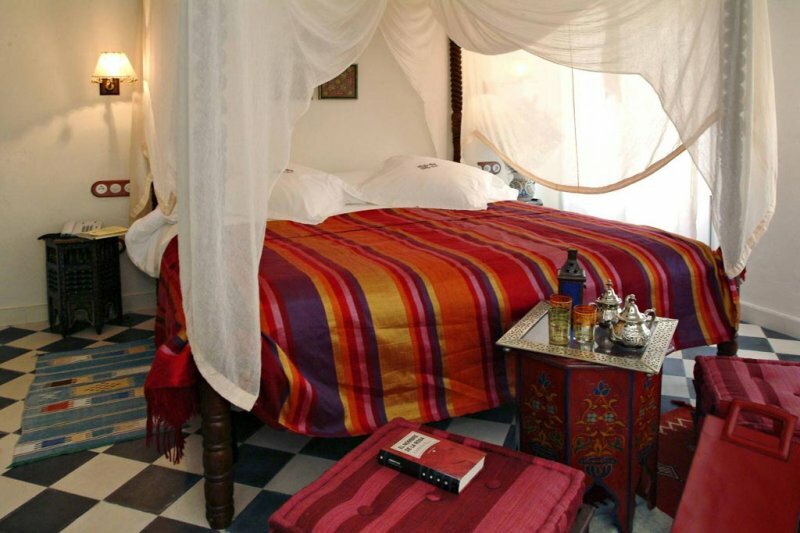 It has a private terrace and a fountain, a Jacuzzi in a small bandstand, an ancient-design cedar wood four-poster bed and spectacular furniture. 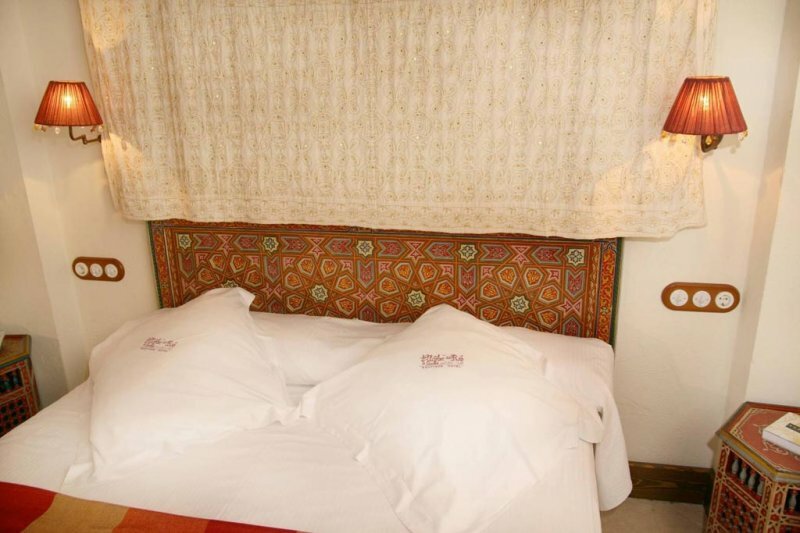 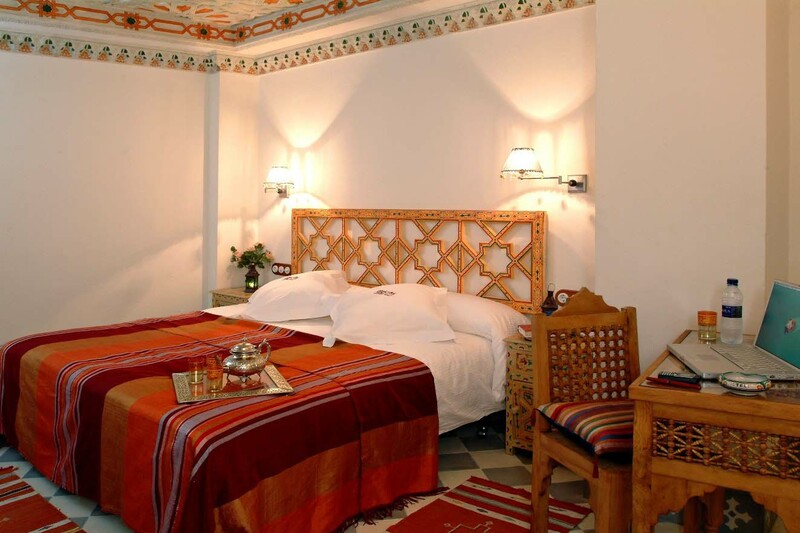 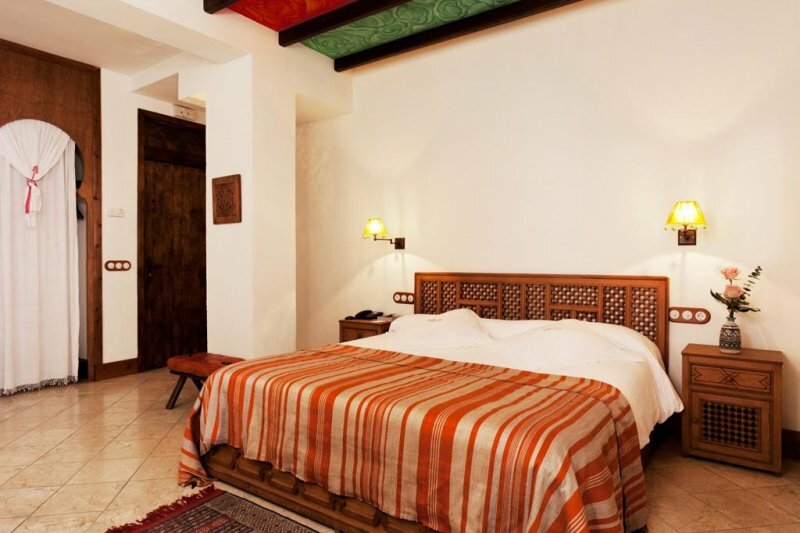 Zyriab was a famous musician and poet and this room which is named after him has old polychrome ceilings, traditional hydraulic floorings and polychrome cedar wood headboard and furniture. 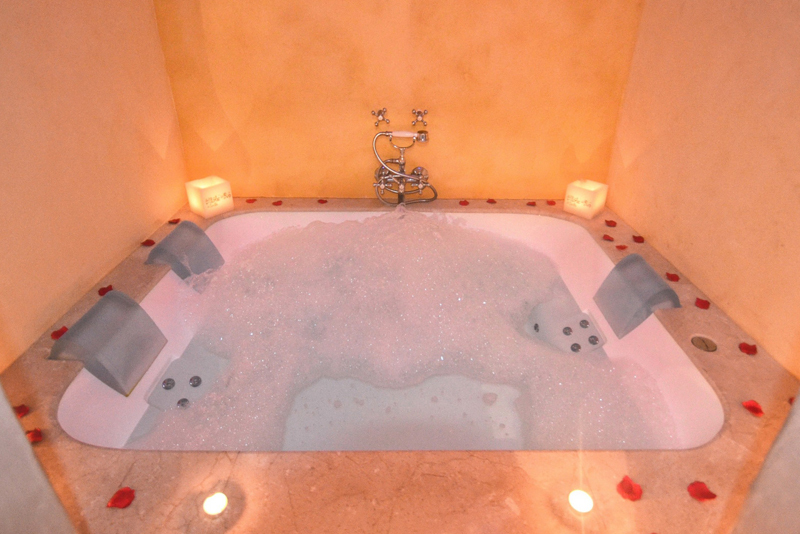 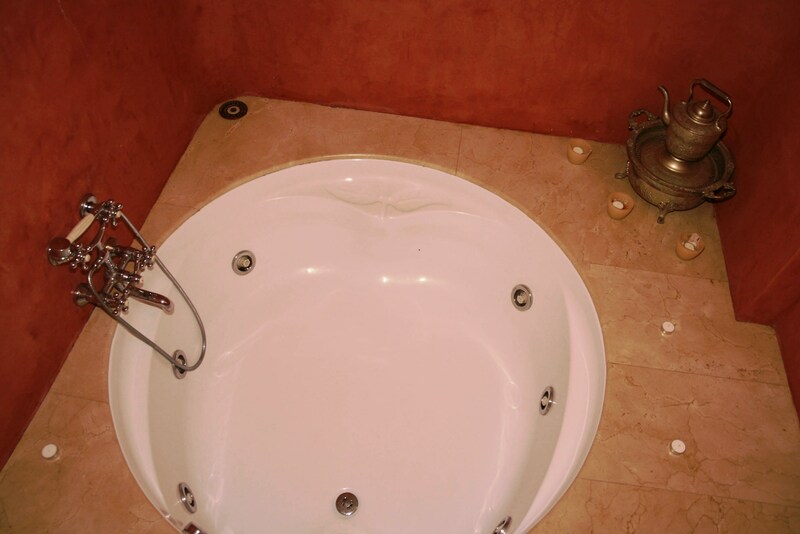 It also has a spectacular Jacuzzi which you access through a horseshoe arch..